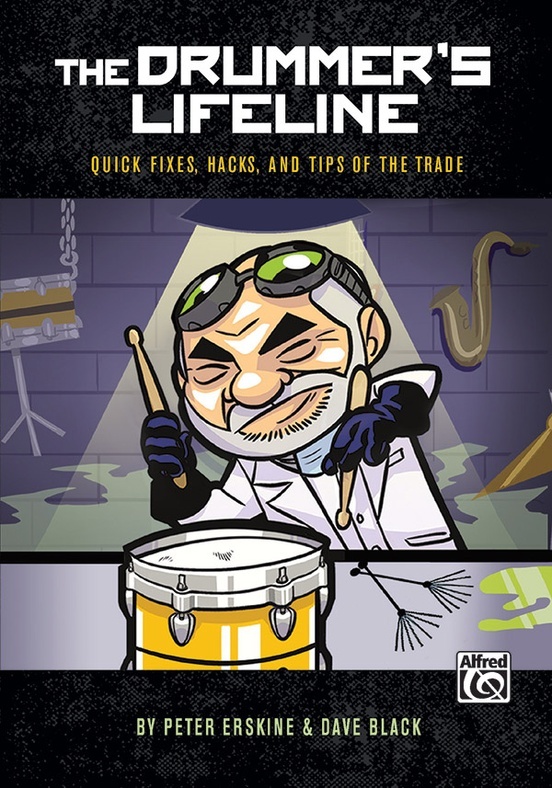 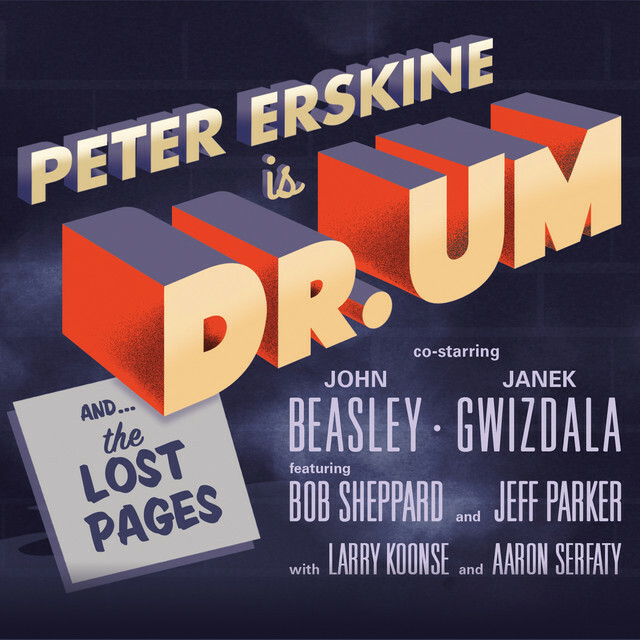 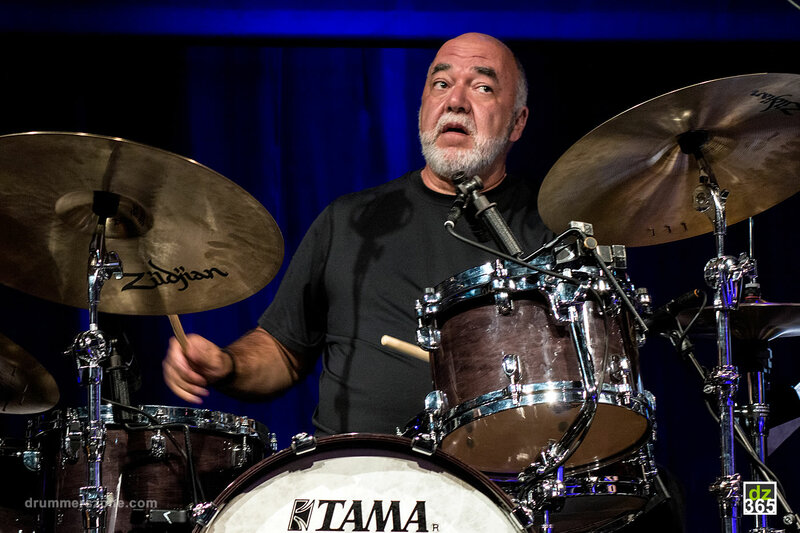 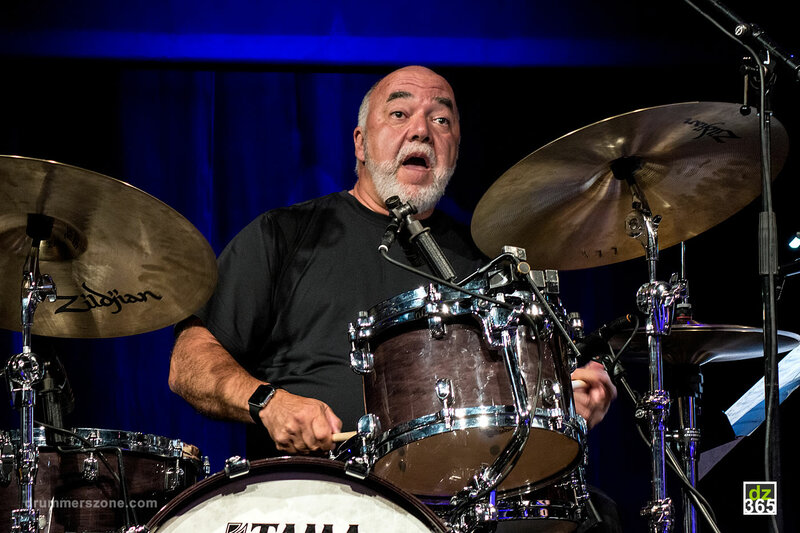 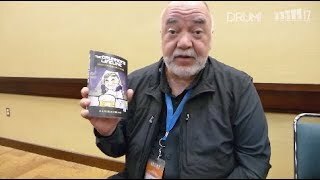 Peter Erskine talks about his new book "The Drummer's Lifeline"
RT @hiattf: Think the Mueller report can't be a fun time? 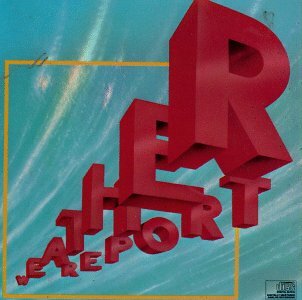 Then you have not yet read @petridishes and her book report on ?The Mueller Repor? 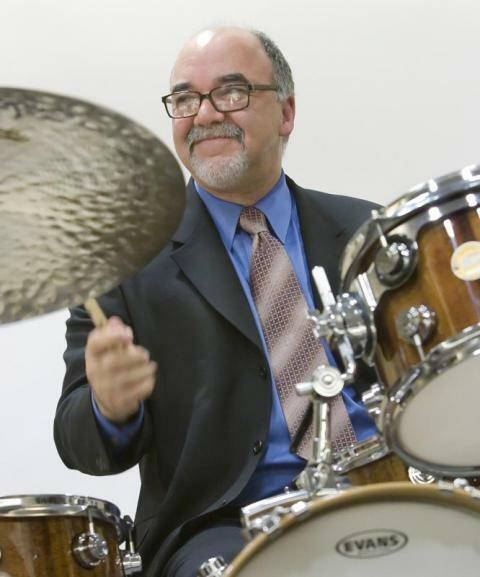 RT @ThePhilipBaron: Trained in Hungary and the USA, teacher at UCLA, pianist Daniel Szabo has teamed with Peter Erskine (drums and co-produ? 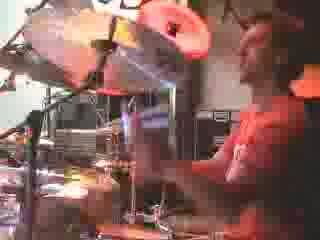 Peter's clinic at the Adams Drumworld Festival. 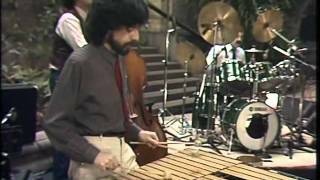 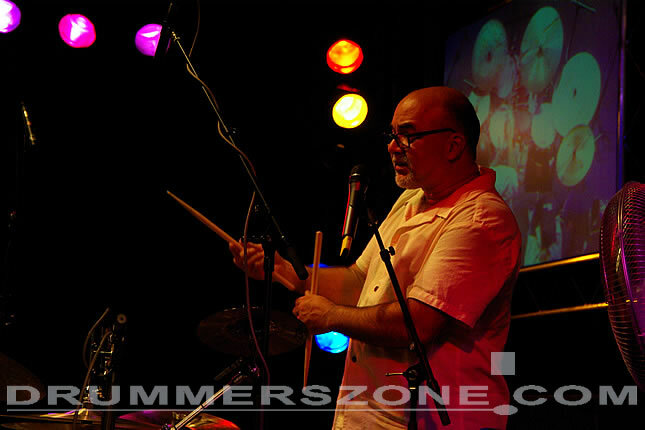 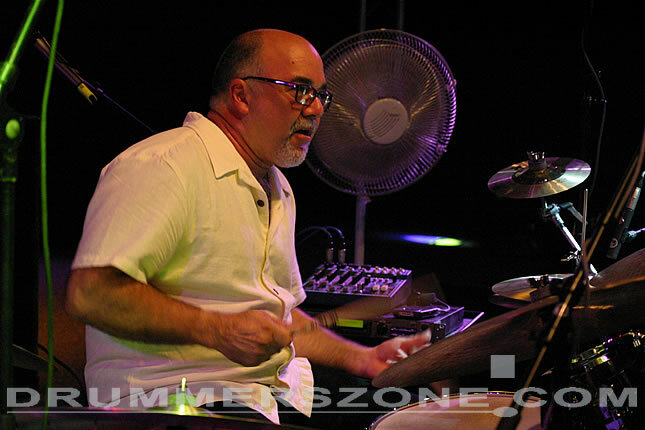 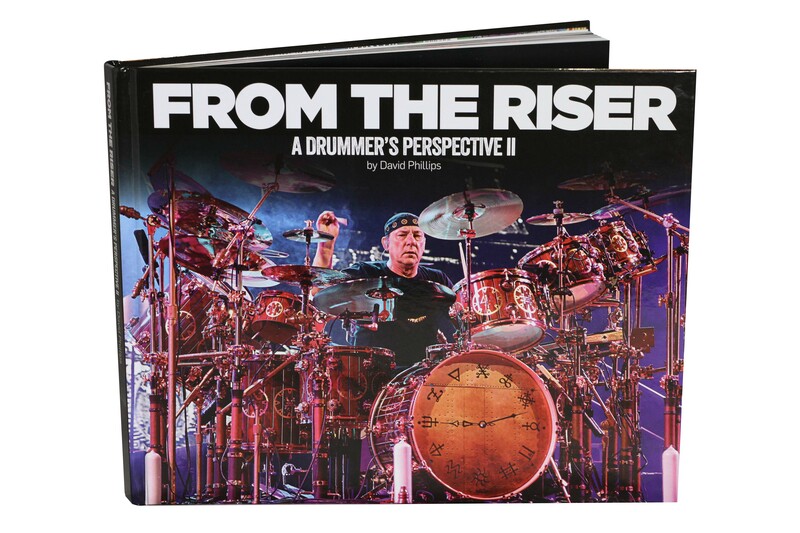 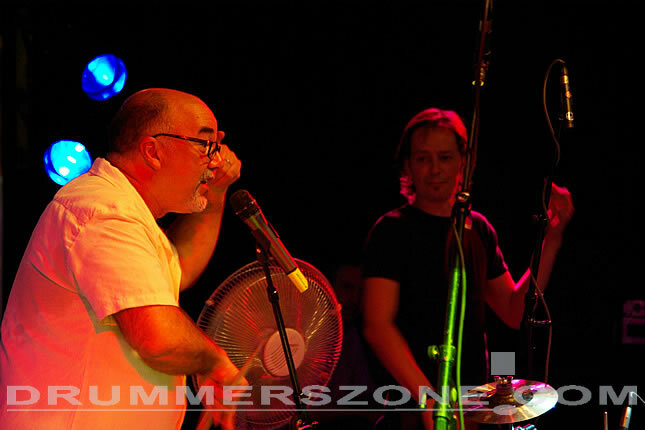 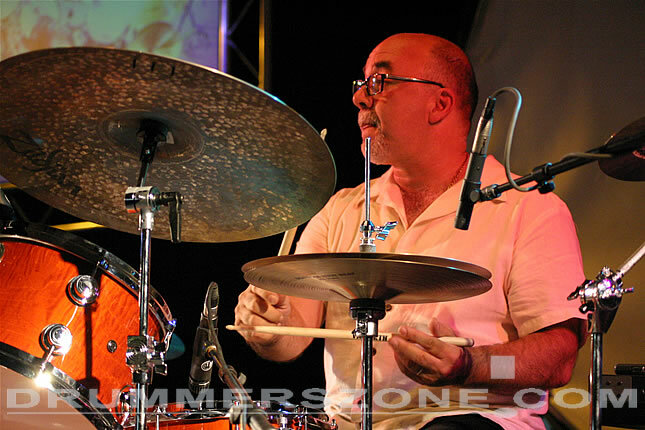 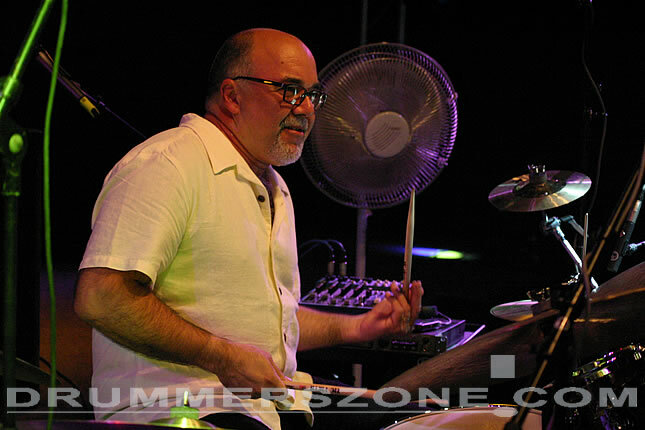 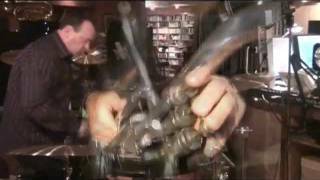 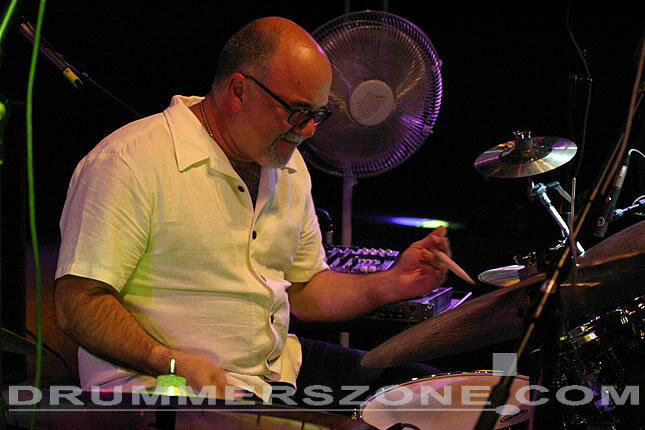 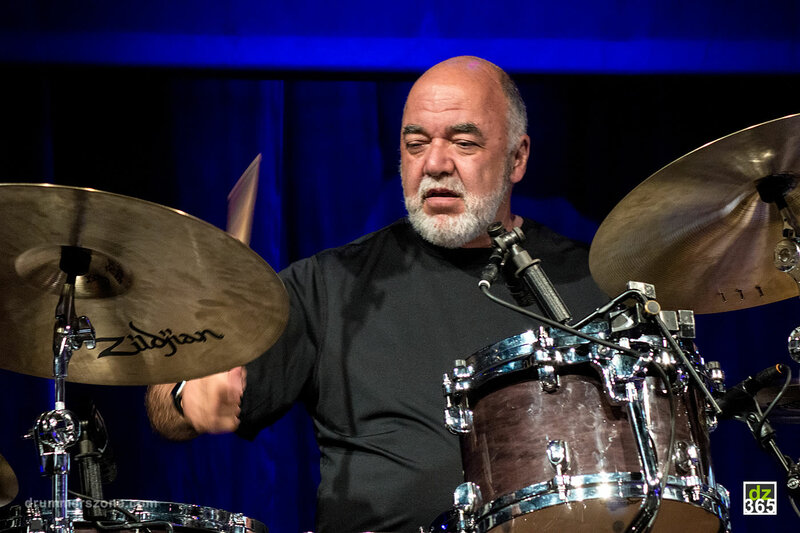 Peter Erskine talks about his new book \"The Drummer's Lifeline\"
Michael Brecker Steps Ahead In Copenhagen's Carlsberg Glyptotek in 1983.Completo. 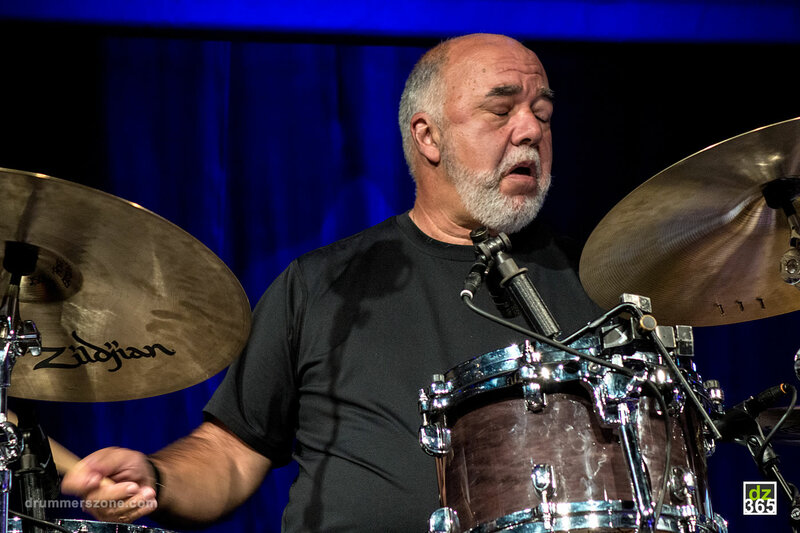 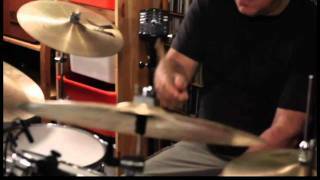 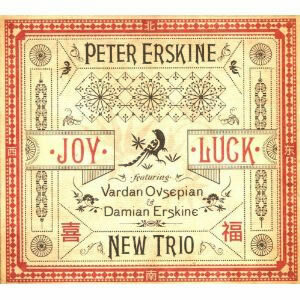 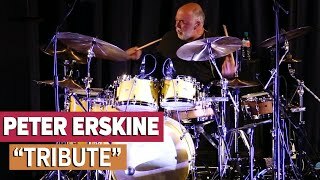 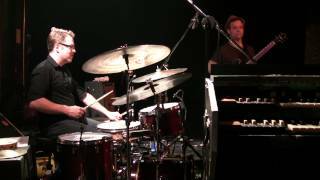 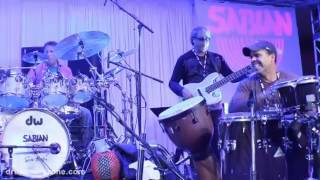 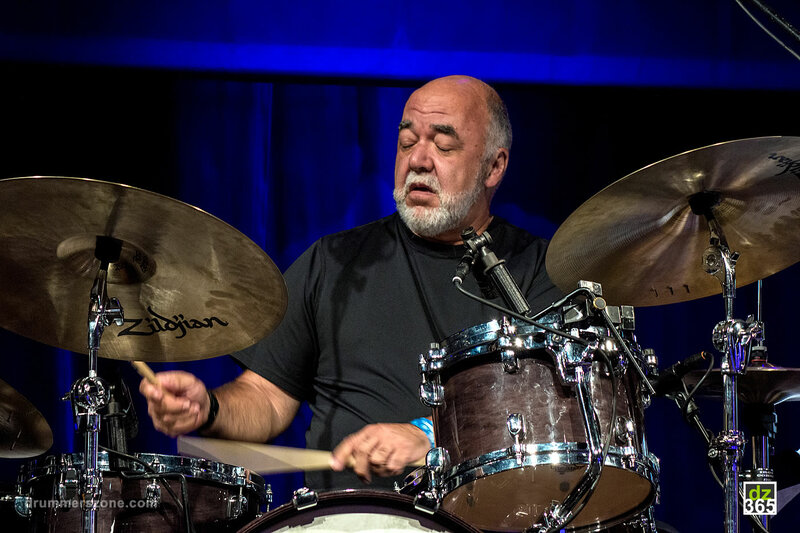 Peter Erskine with John Beasley's MONK'estra live at the North Sea Jazz Festival 2017. 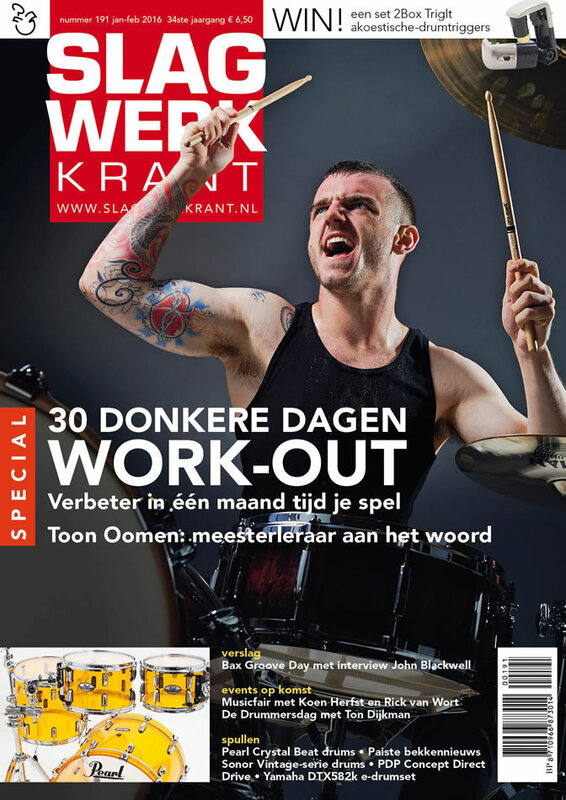 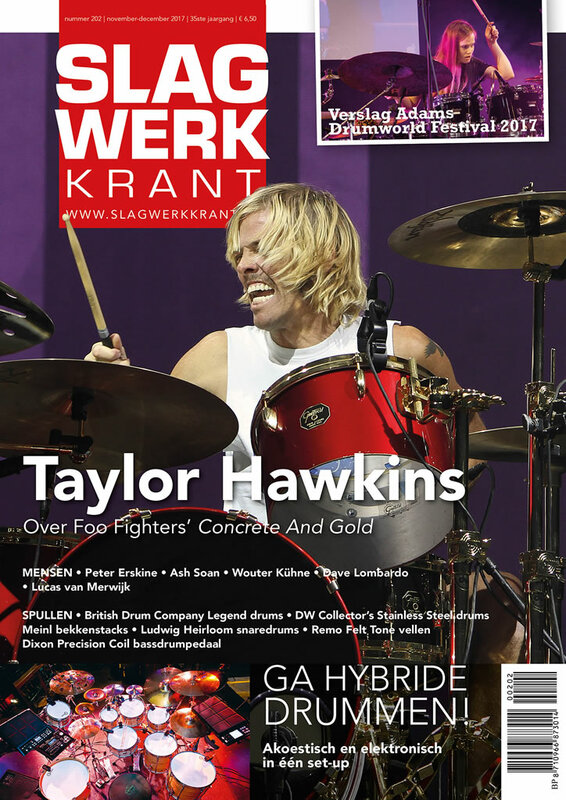 Drum clinic at Adams Drumworld festival in Ittervoort, The Netherlands. 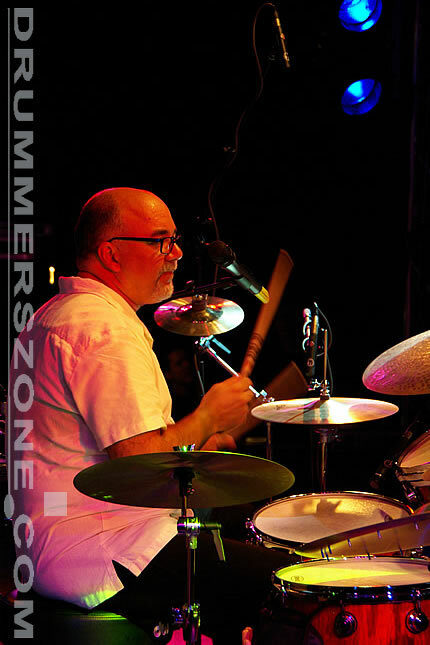 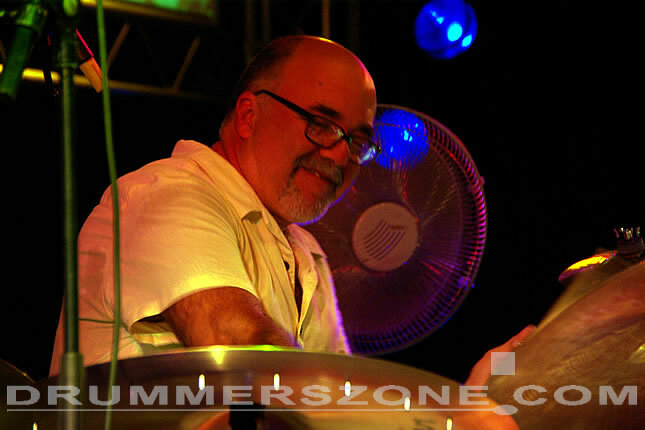 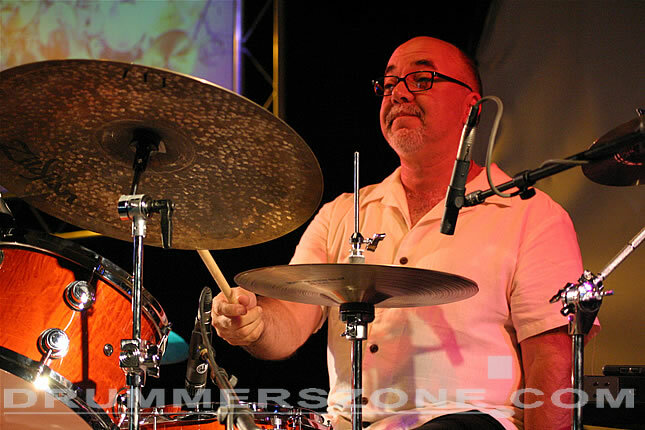 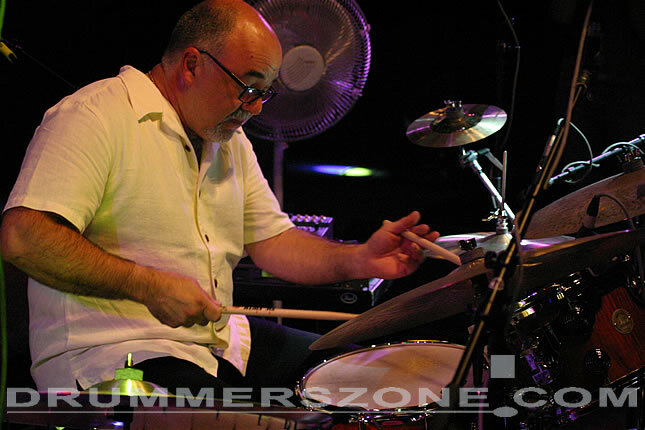 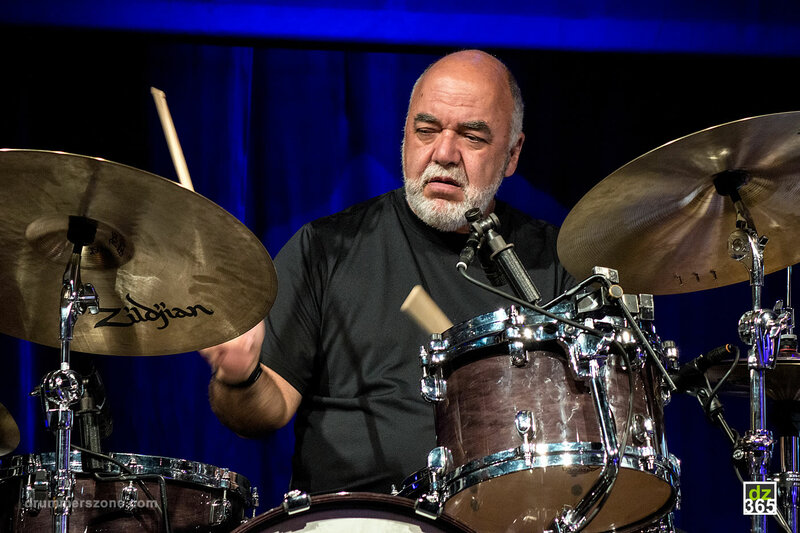 Peter Erskine has played drums since the age of 4 and is known for his versatility and love of working in different musical contexts. 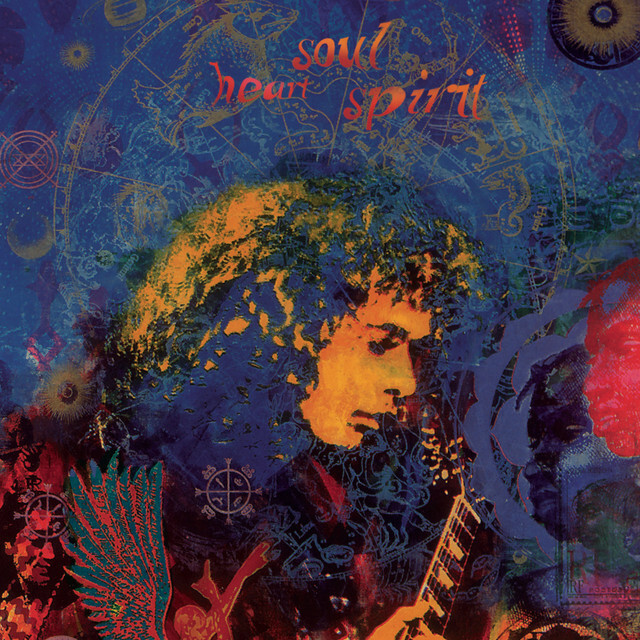 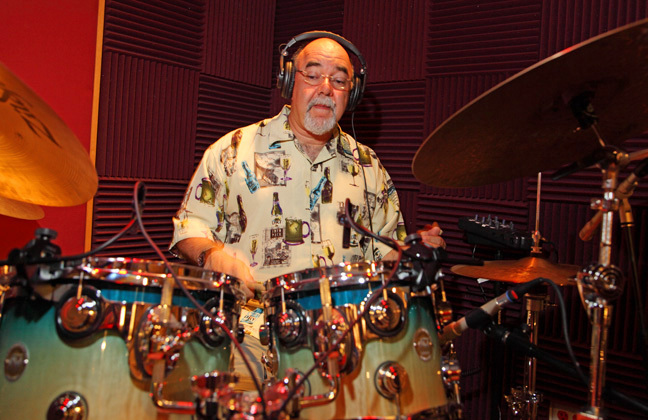 He appears on over 500 albums and film scores, and has won 2 Grammy Awards plus an Honorary Doctorate from the Berklee School of Music. 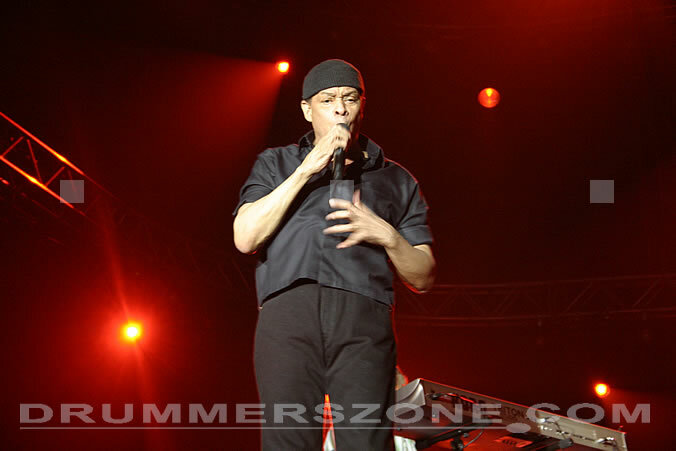 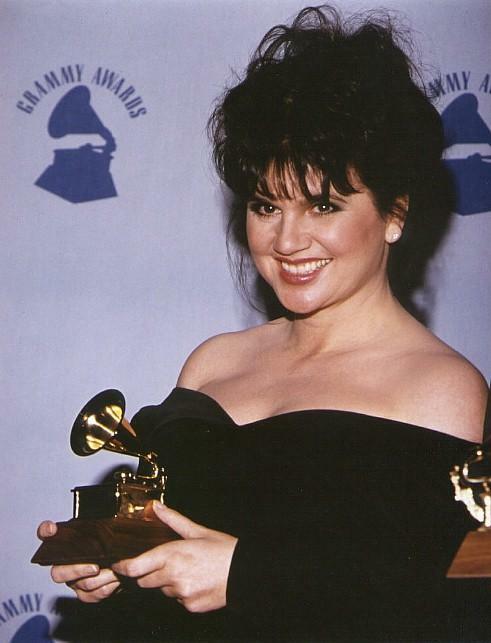 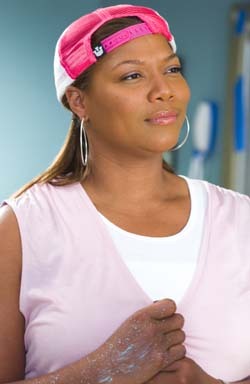 Over 30 albums have been released under his own name or as co-leader. 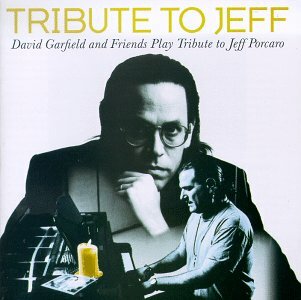 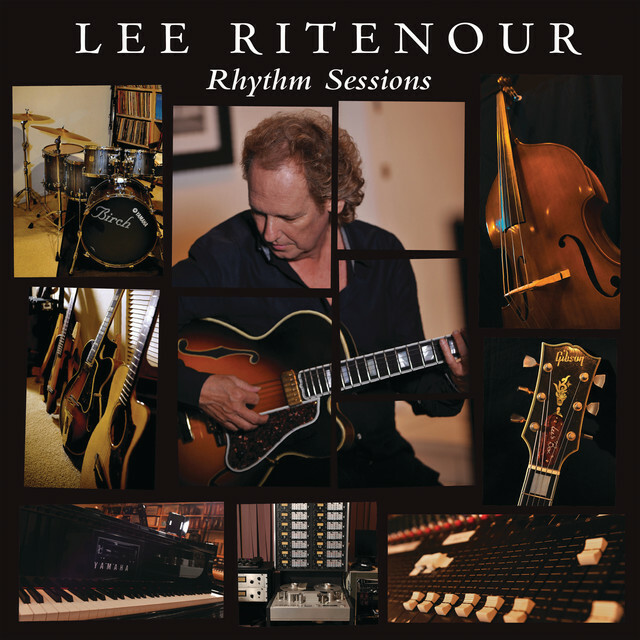 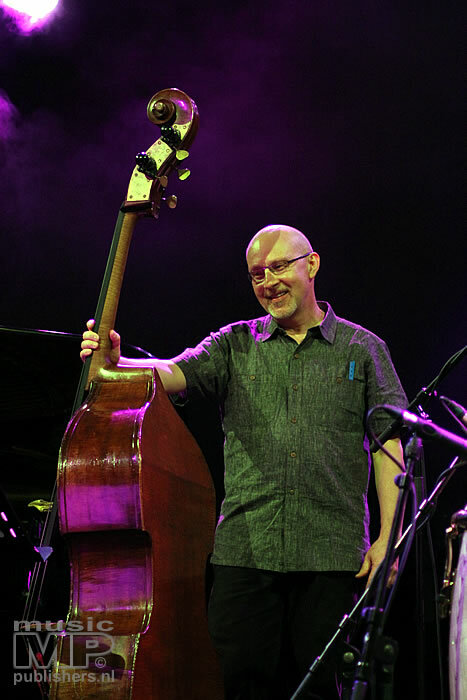 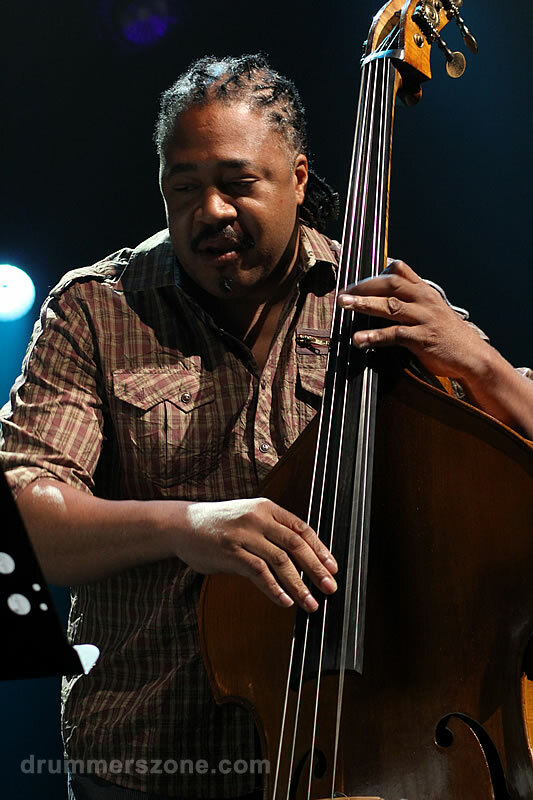 He has played with the Stan Kenton and Maynard Ferguson big bands, Weather Report, Steps Ahead, Joni Mitchell, Steely Dan, Diana Krall, Kenny Wheeler, The Brecker Brothers, The Yellowjackets, Pat Metheny & Gary Burton, John Scofield, et al, and has appeared as a soloist with the London, Los Angeles, BBC Symphony and Berlin Philharmonic orchestras. 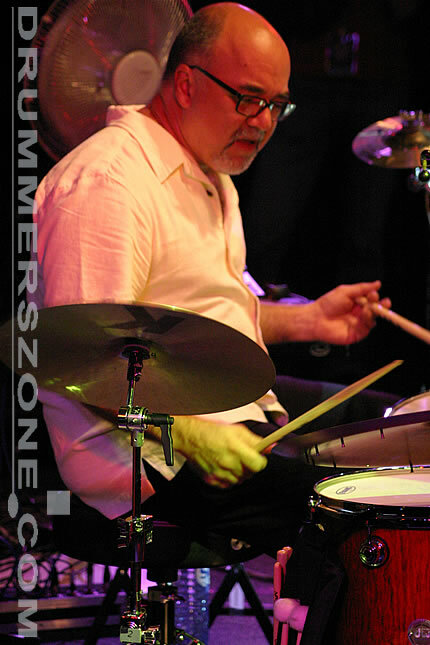 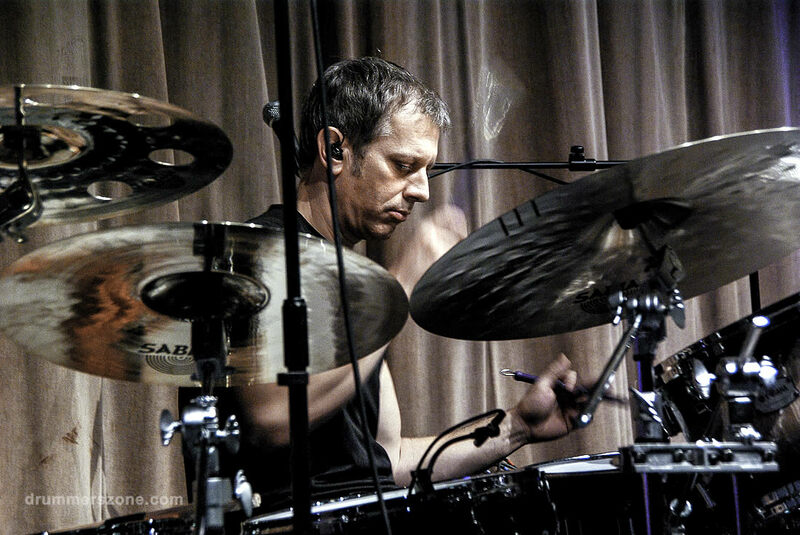 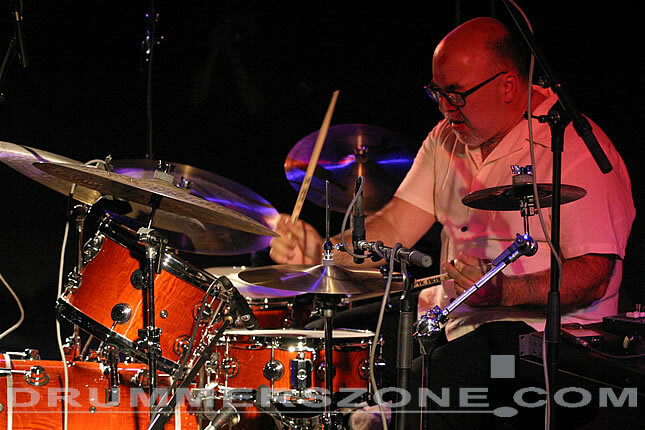 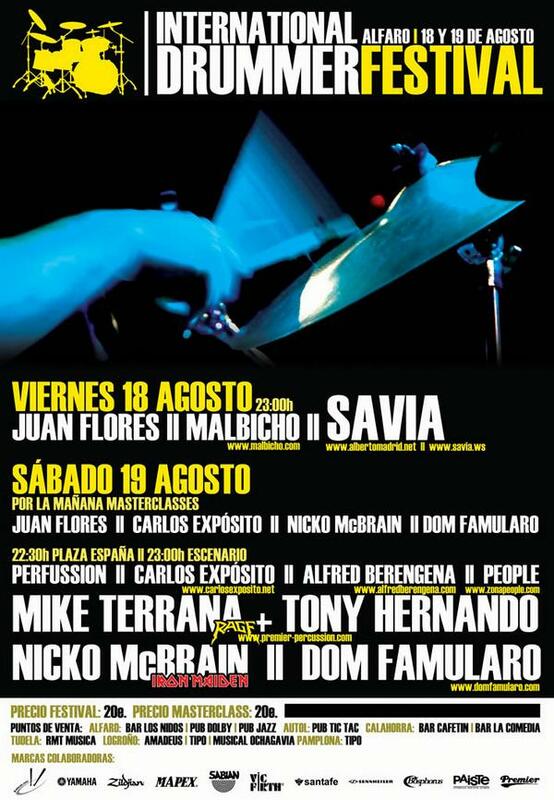 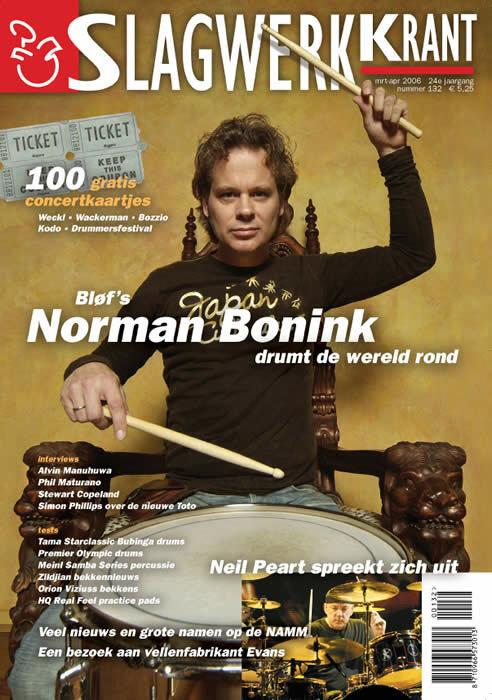 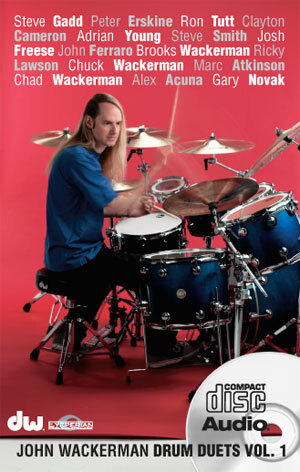 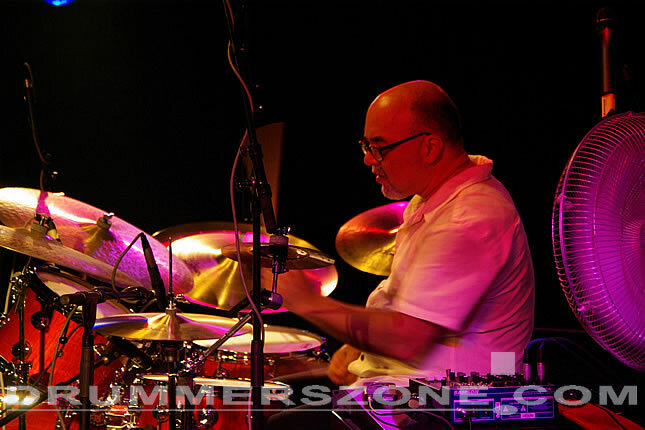 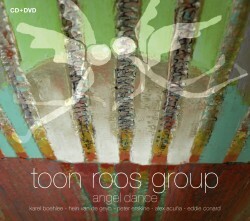 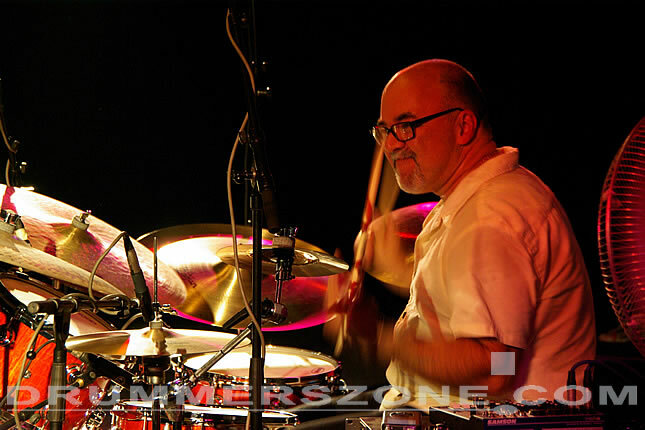 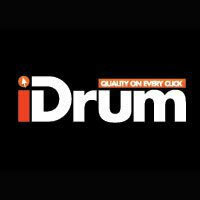 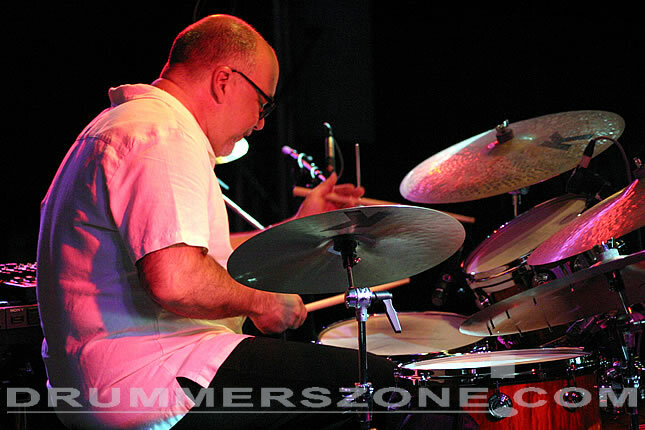 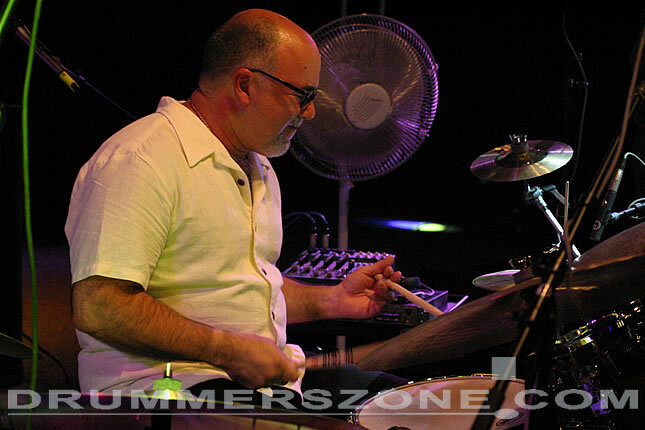 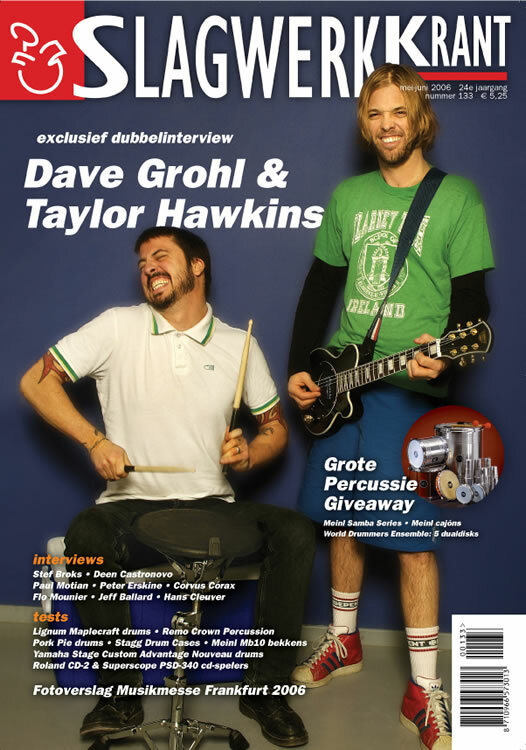 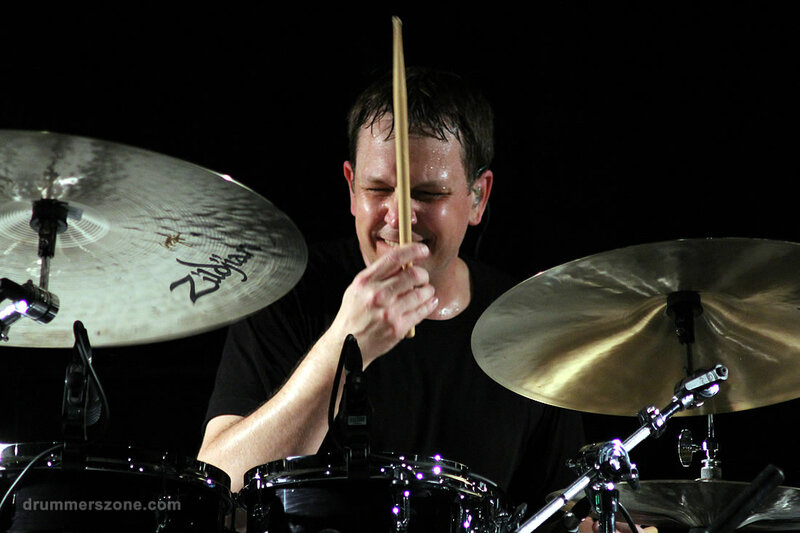 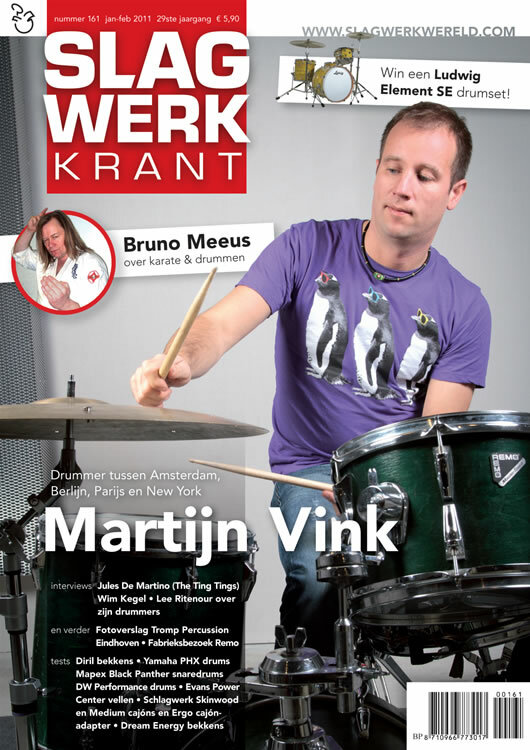 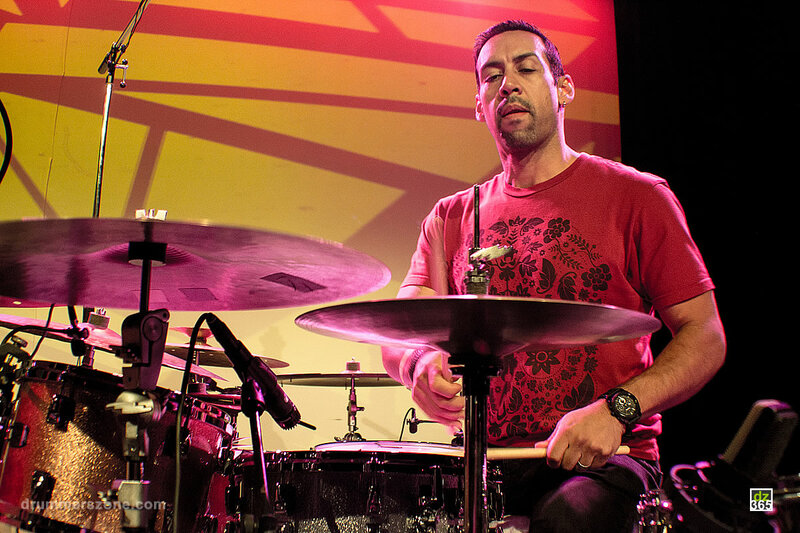 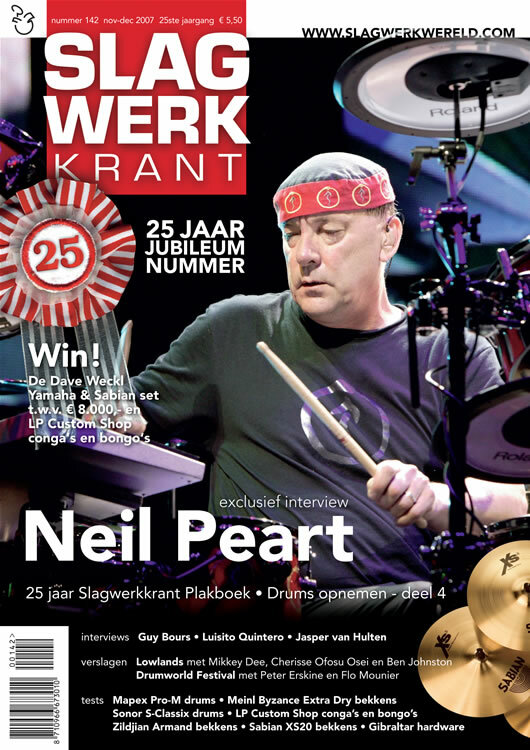 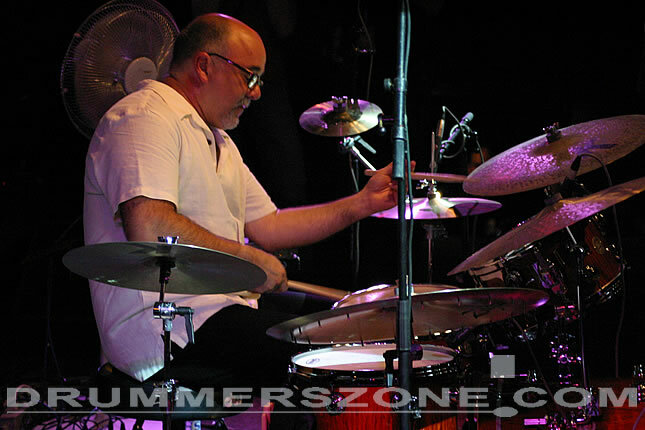 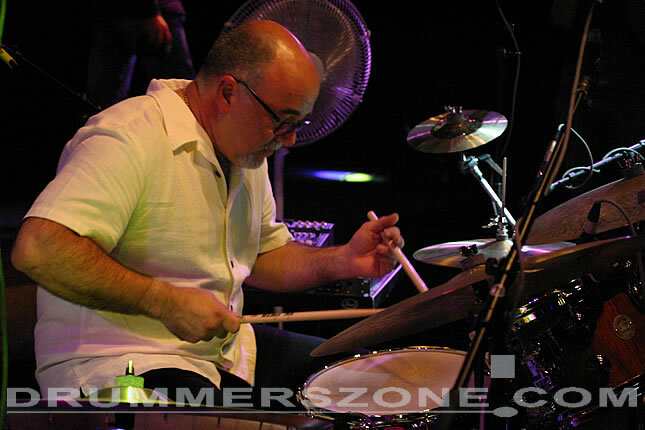 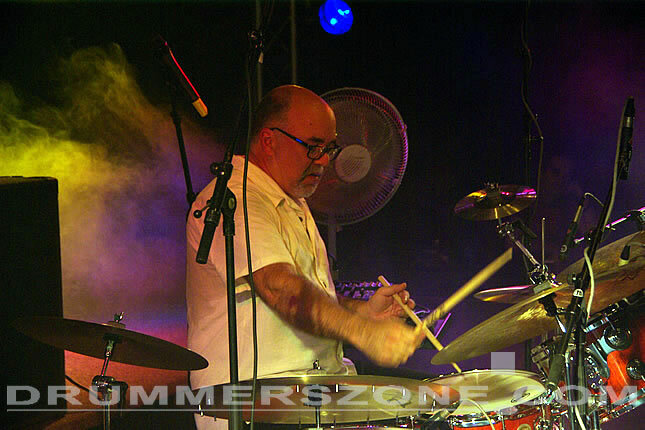 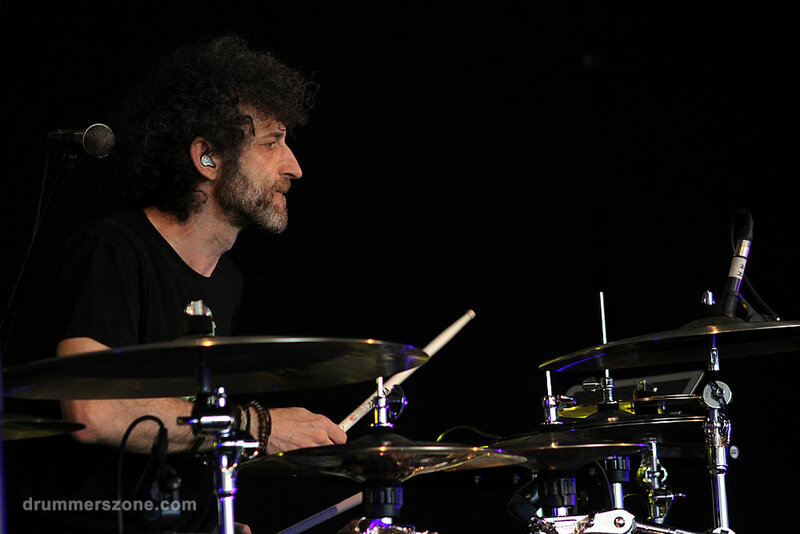 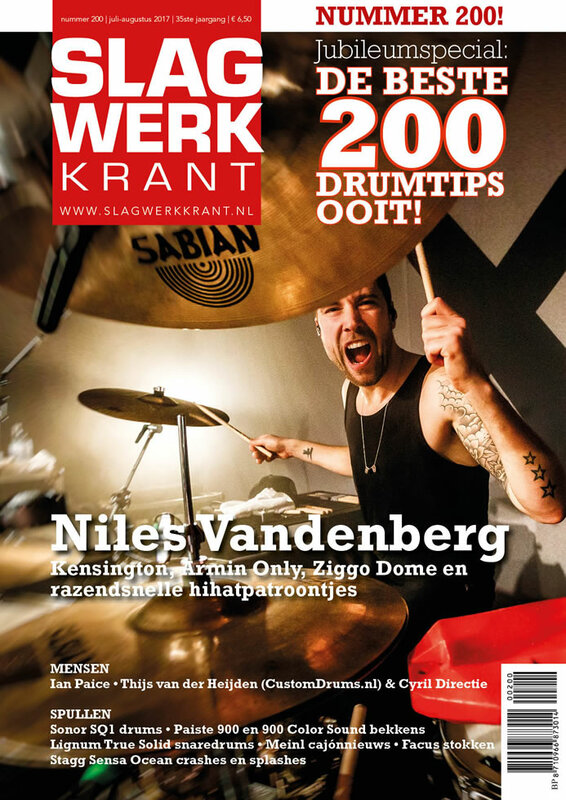 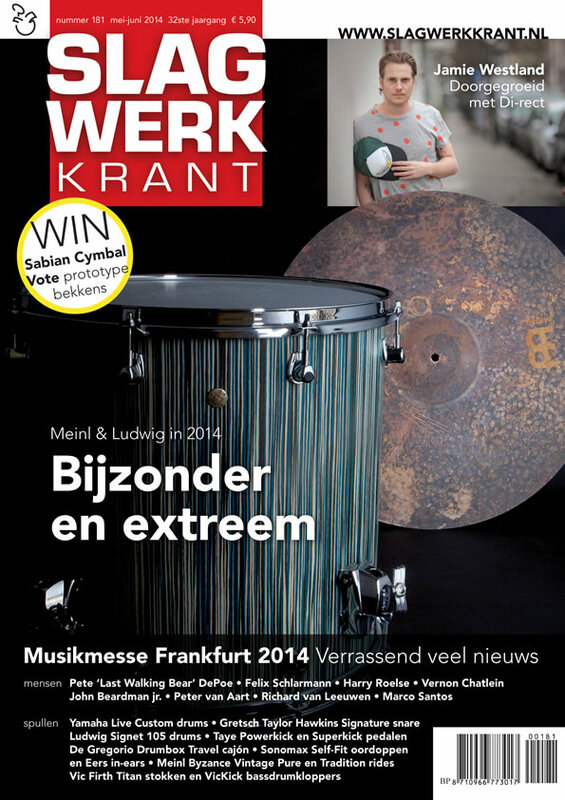 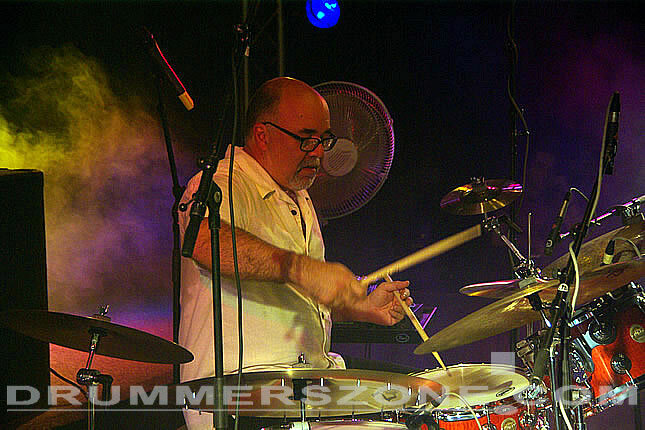 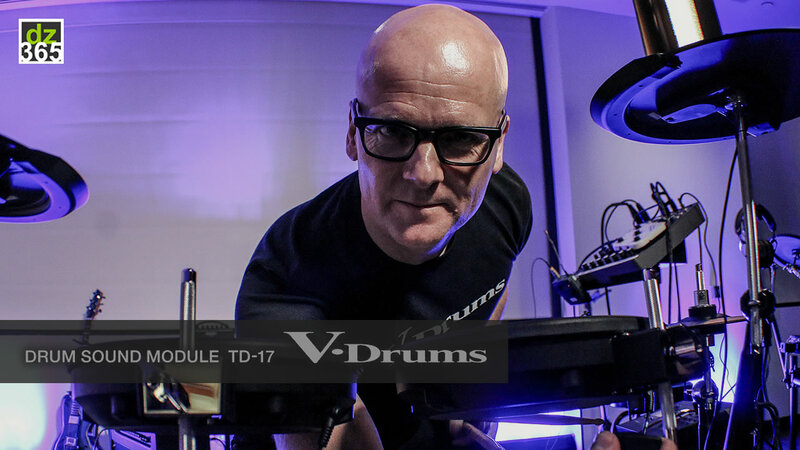 Peter has been voted Best Jazz Drummer of the Year ten times by the readers of the Modern Drummer magazine. 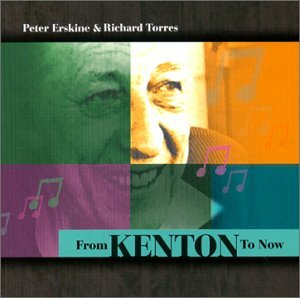 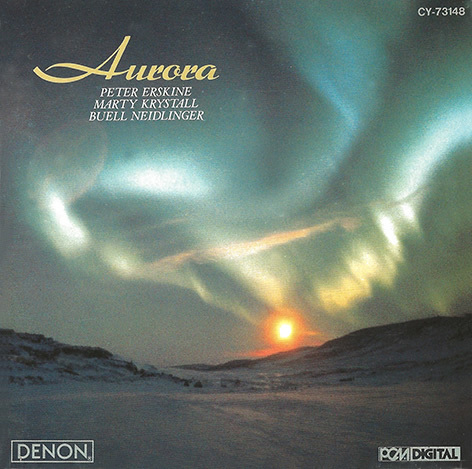 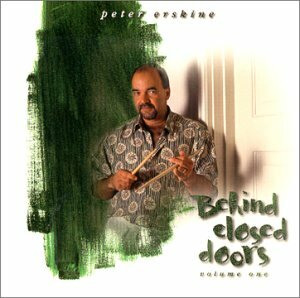 Peter produces jazz recordings for his record label Fuzzy Music, and is an active author with several books to his credit: the latest titles include Time Awareness for All Musicians and Essential Drum Fills. Peter graduated from the Interlochen Arts Academy in Michigan and studied at Indiana University under George Gaber. 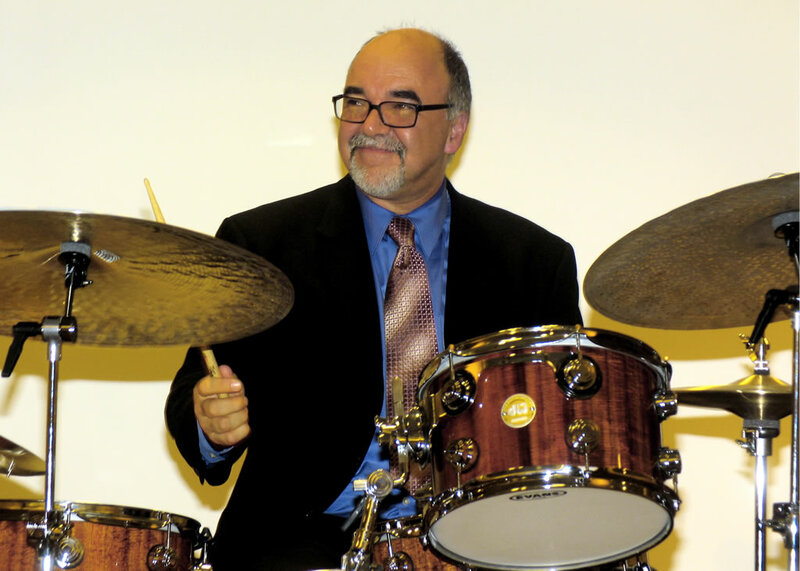 Peter is currently a full Professor of Practice, Jazz Studies and the Director of Drumset Studies at the University of Southern California. 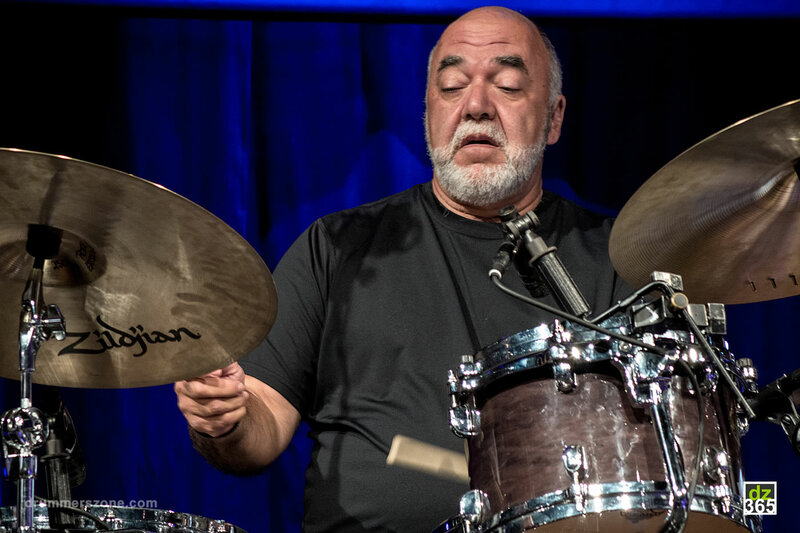 Peter Erskine began playing the drums at the age of four, and has now been at the forefront of world?class jazz ensembles for twenty four years. 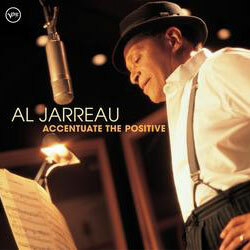 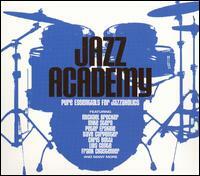 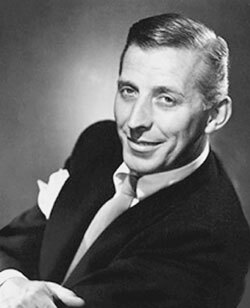 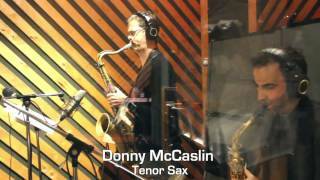 His first major professional work was with the Stan Kenton Orchestra, which he joined in 1972. 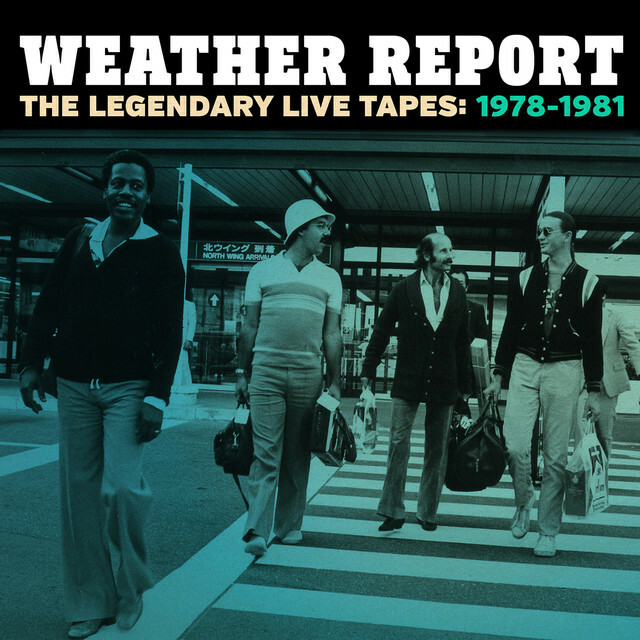 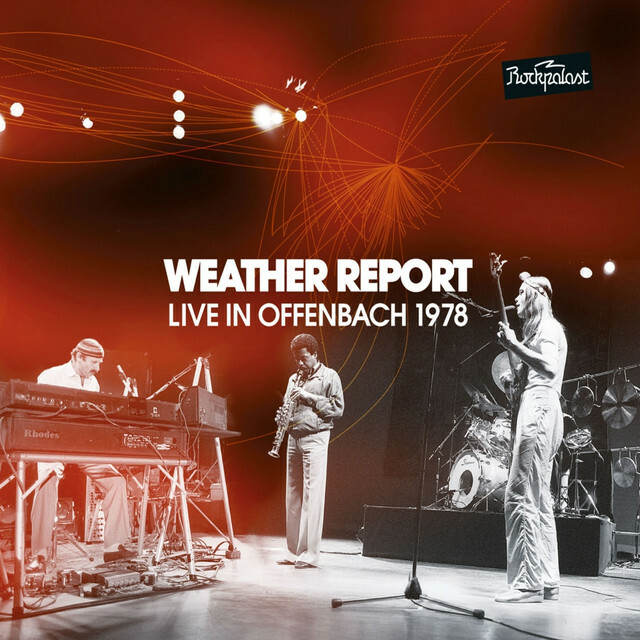 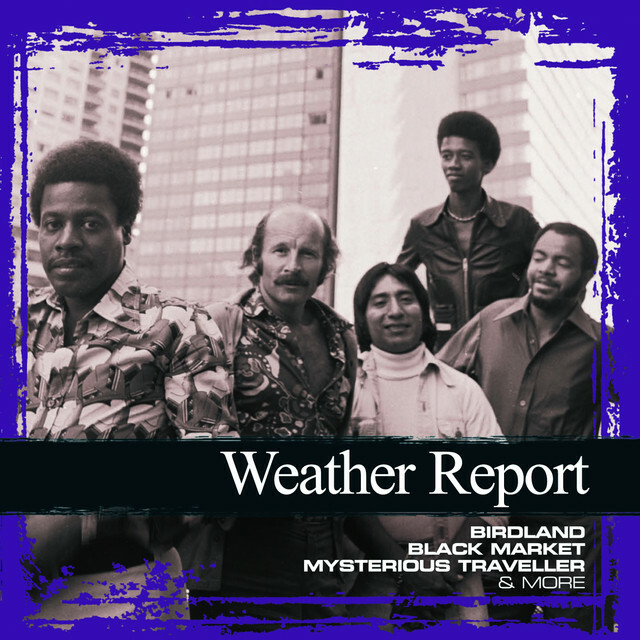 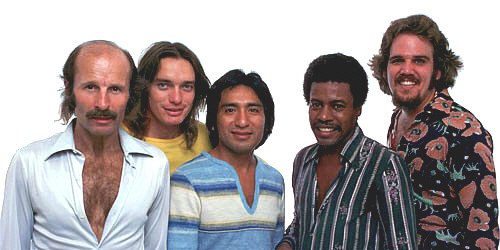 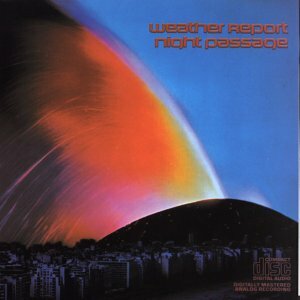 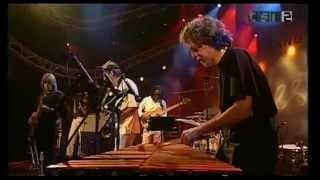 After a three year stint with Kenton and a two year stay with Maynard Ferguson, he joined Weather Report in 1978. 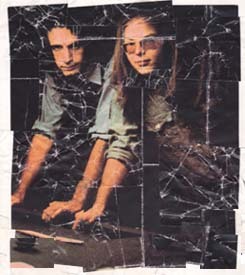 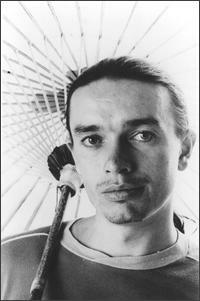 The excellence of the partnership between Erskine and bassist Jaco Pastorius was an integral part of that group's success. 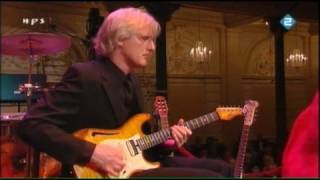 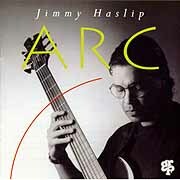 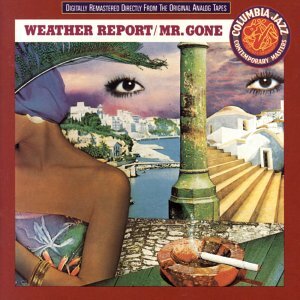 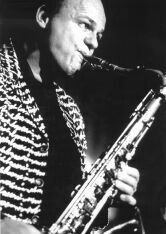 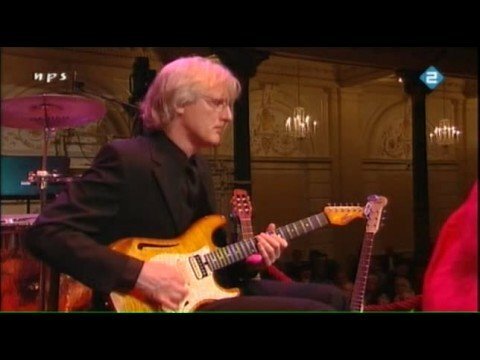 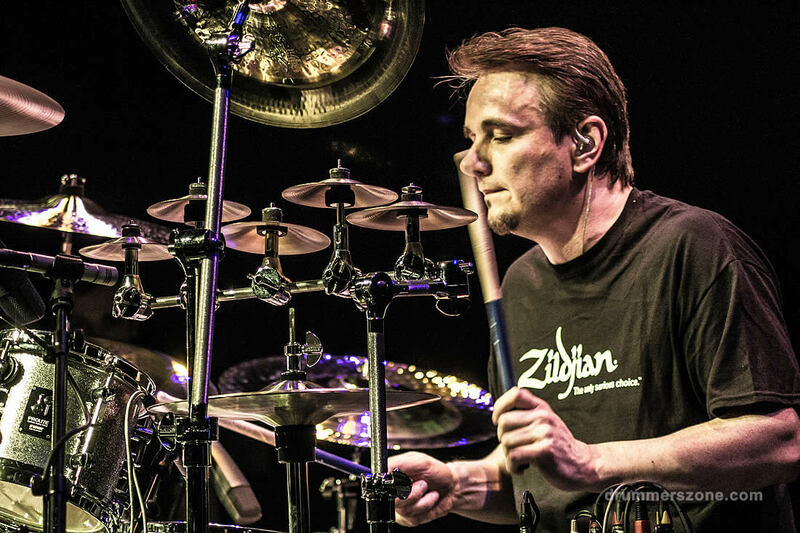 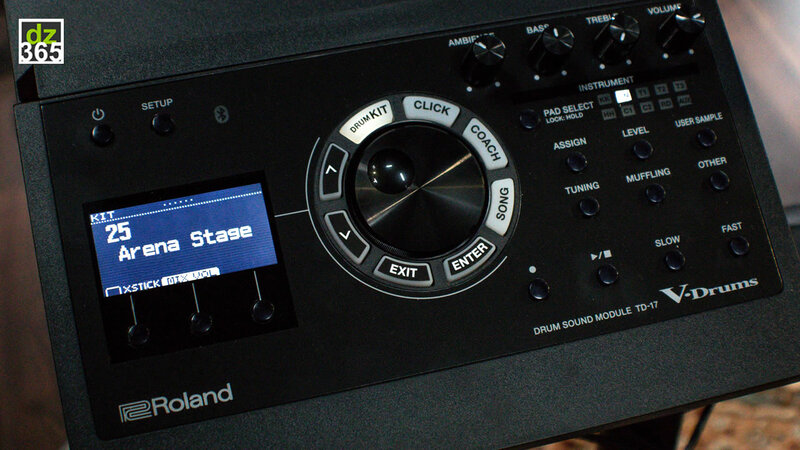 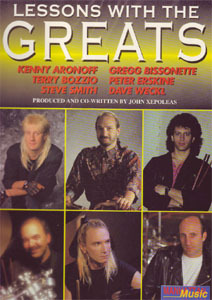 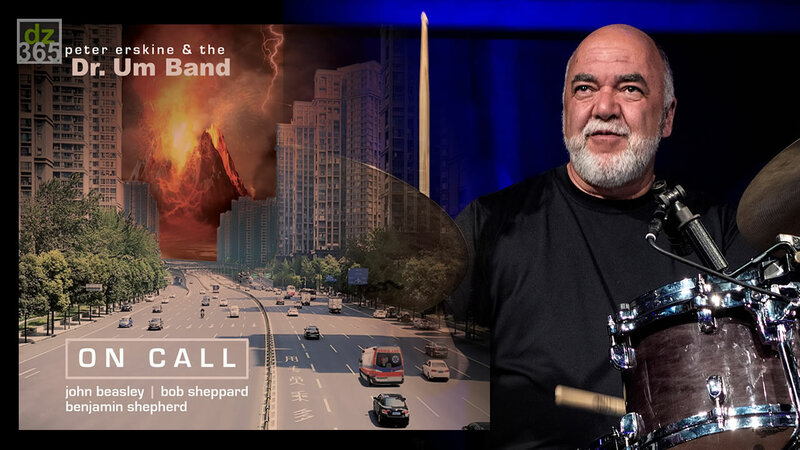 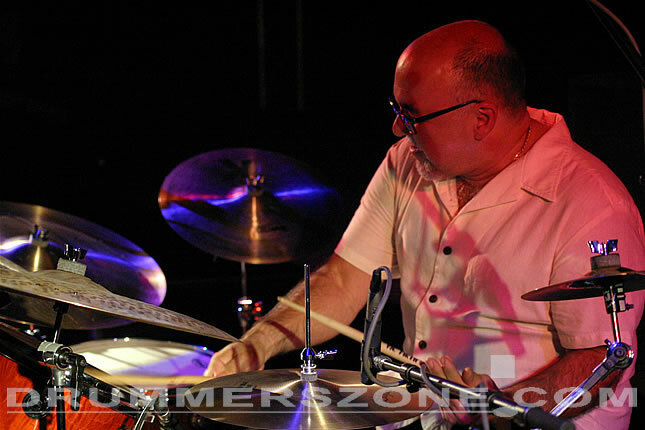 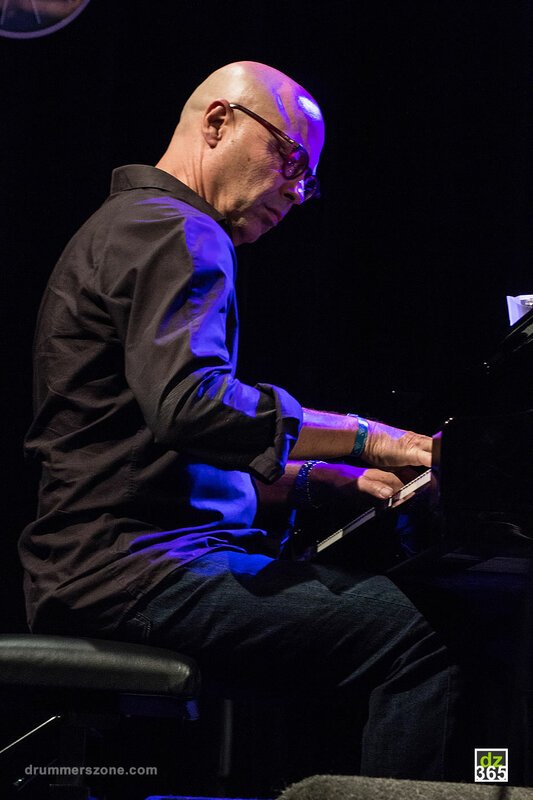 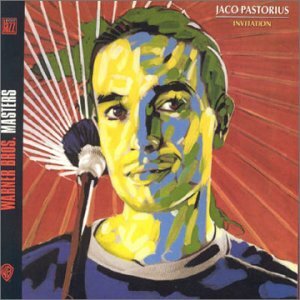 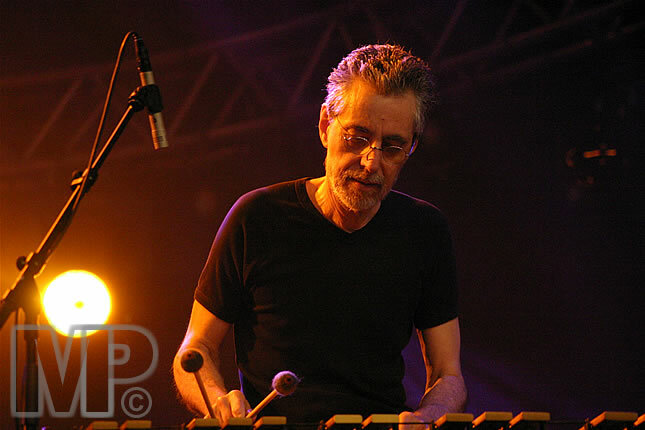 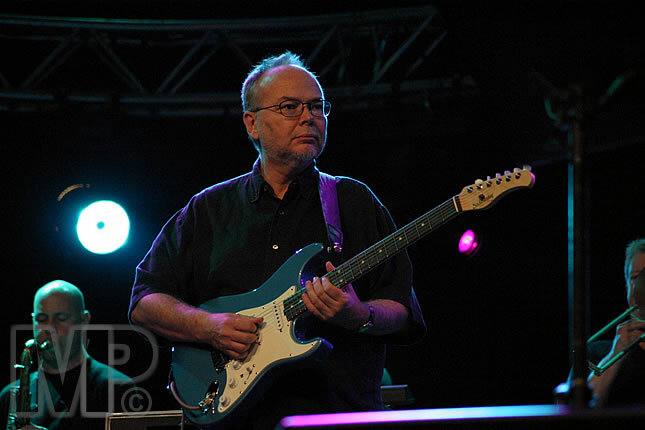 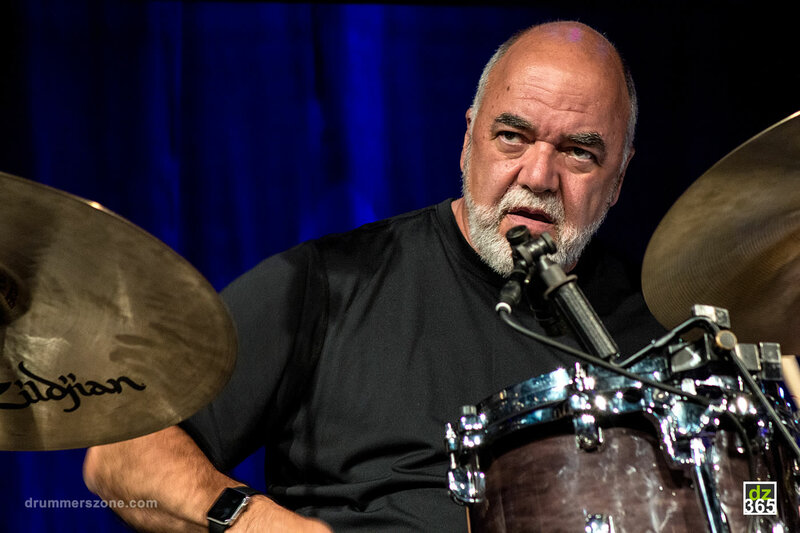 Following his 4 years in Weather Report (having recorded five albums with them including the Grammy Award winning "8:30"), he began to play with Mike Brecker, Mike Mainieri and Eddie Gomez in the group Steps Ahead. 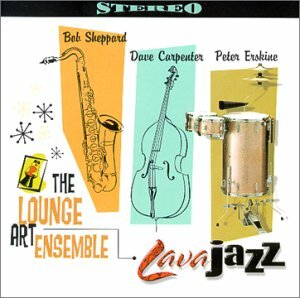 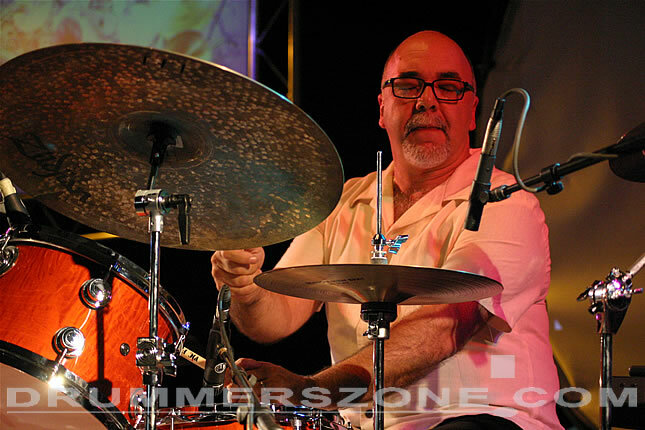 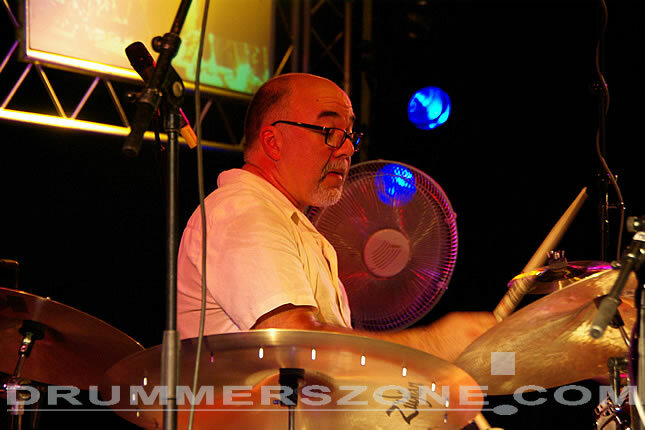 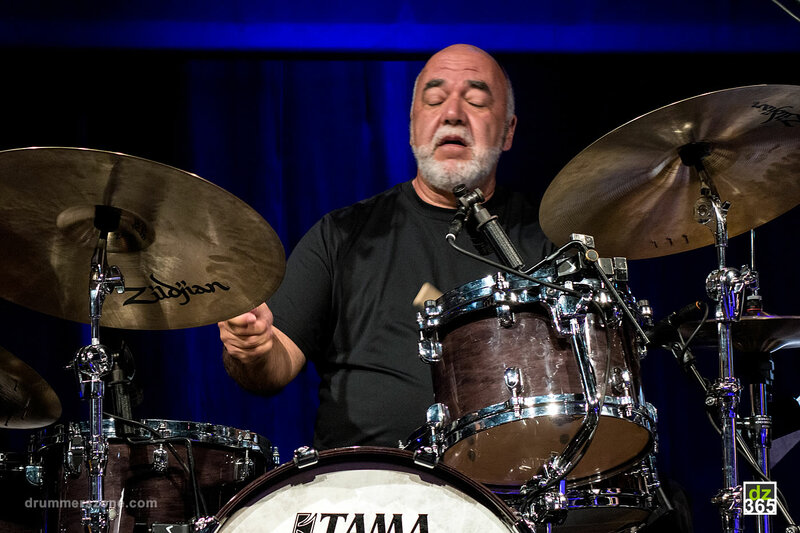 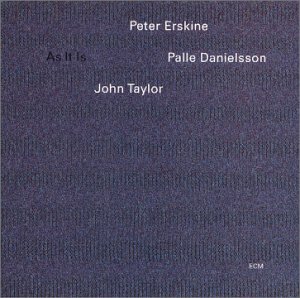 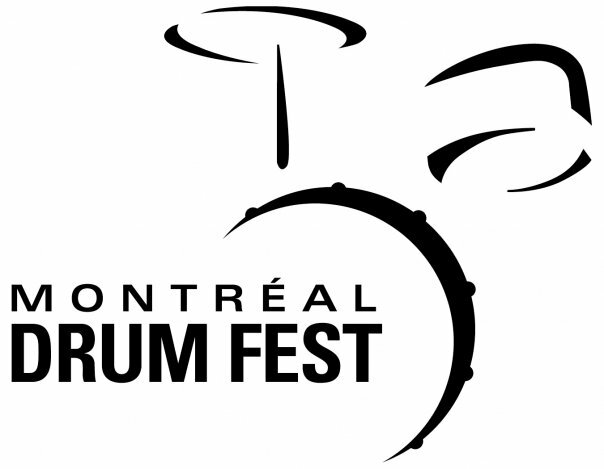 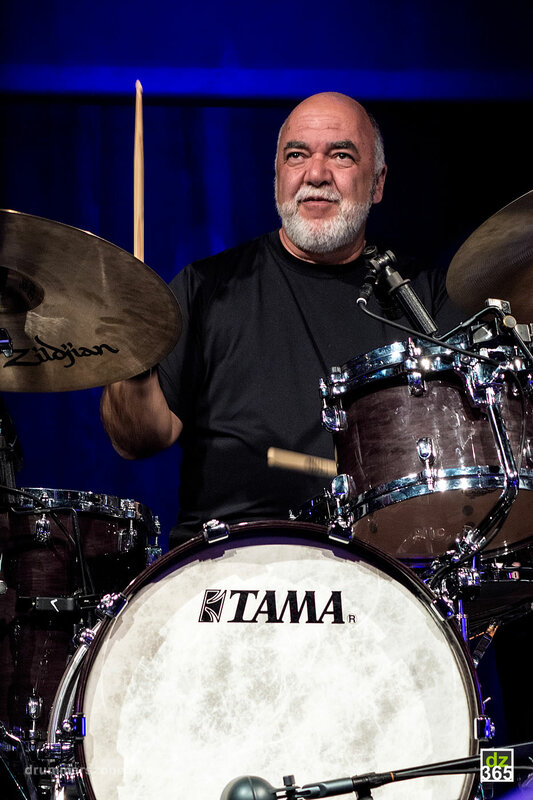 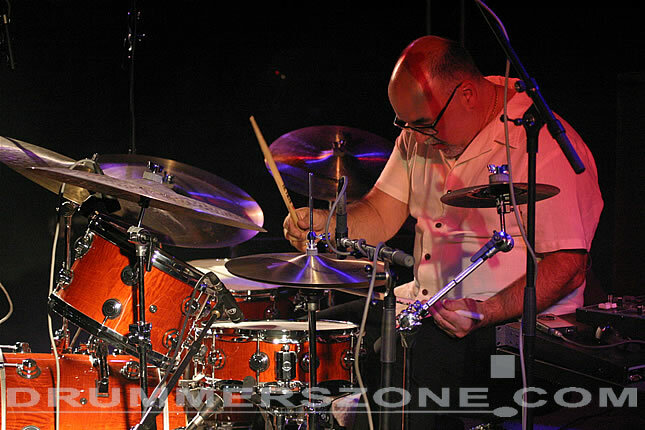 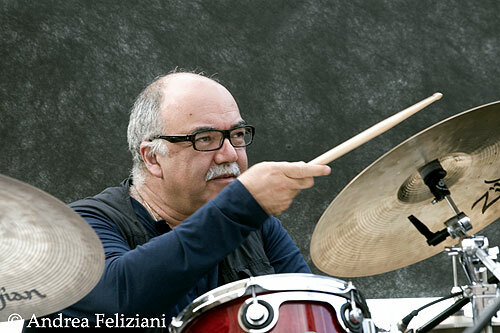 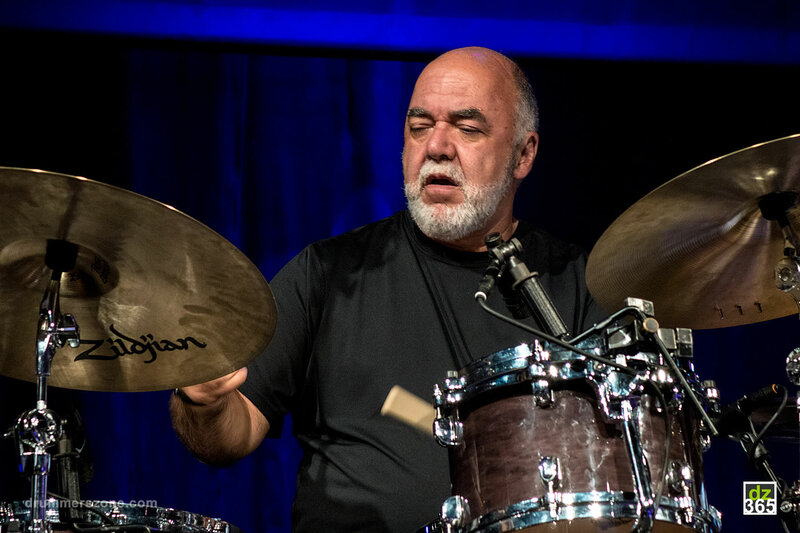 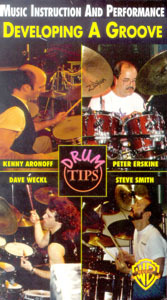 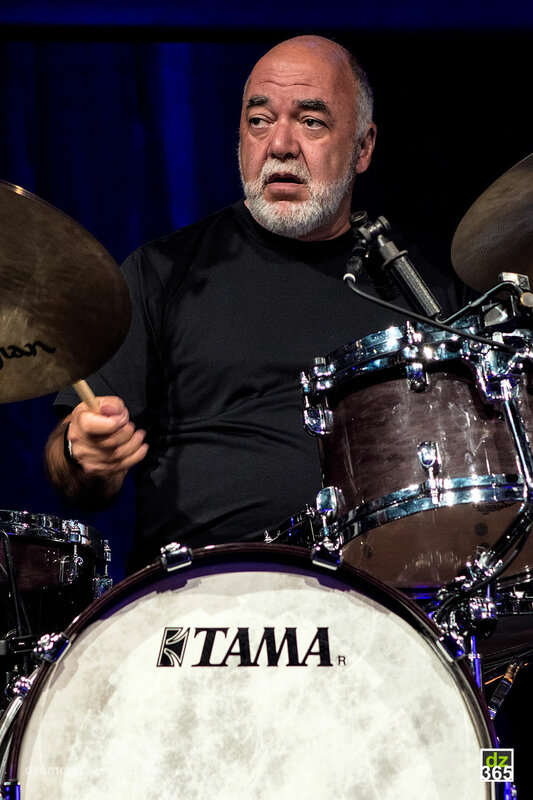 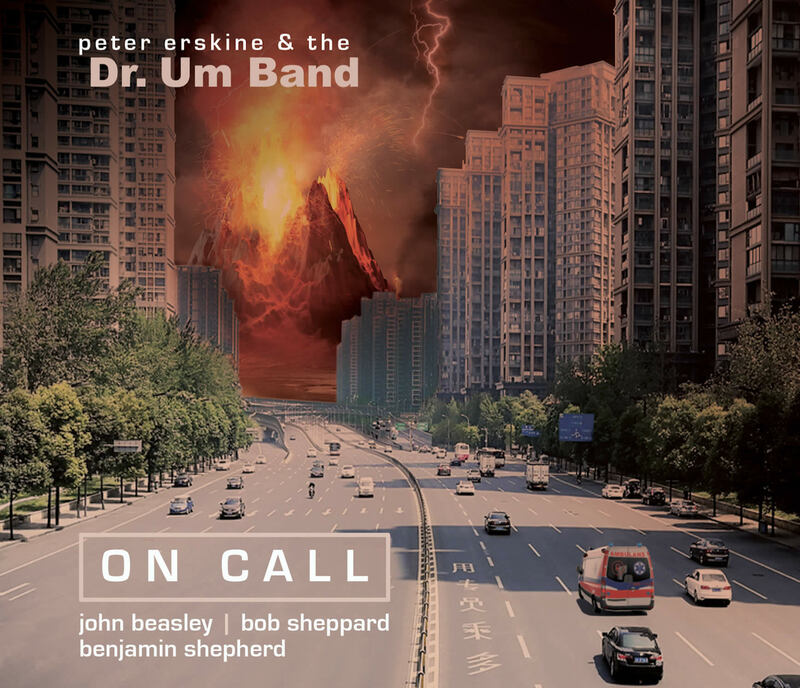 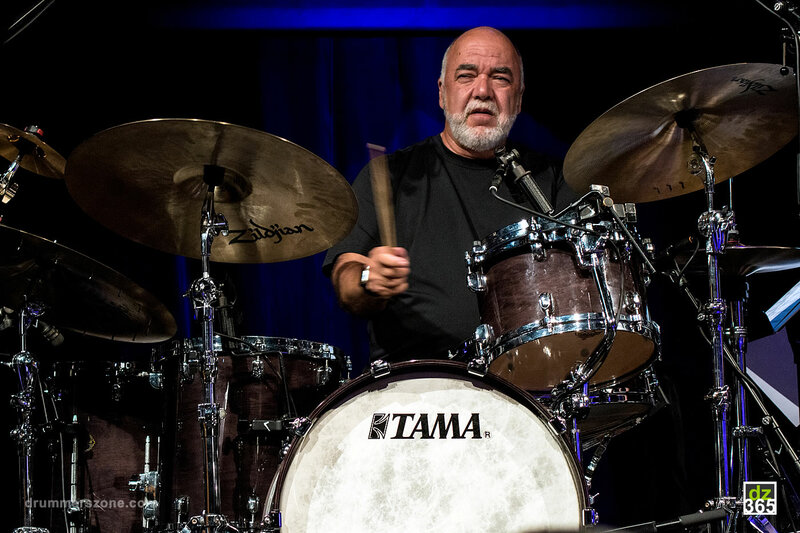 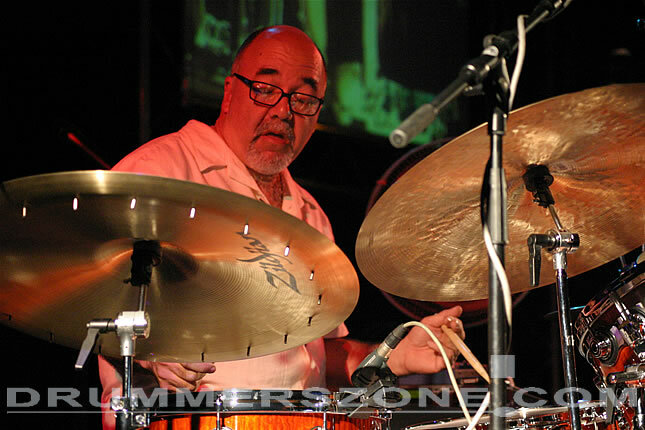 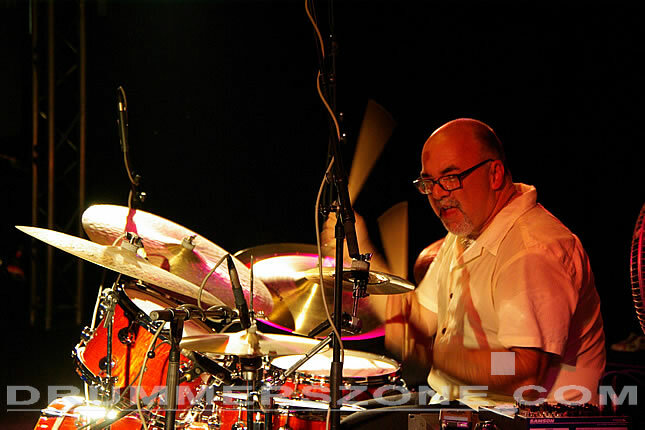 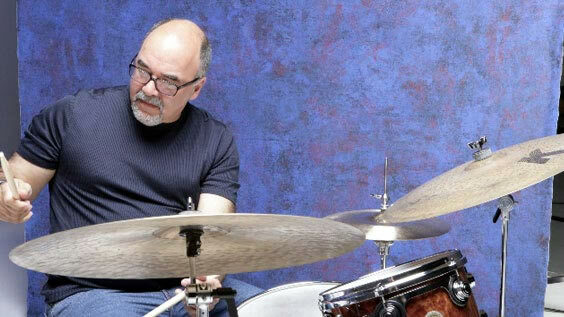 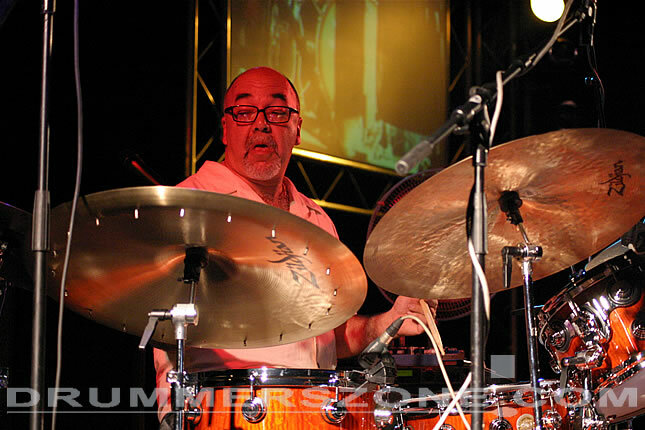 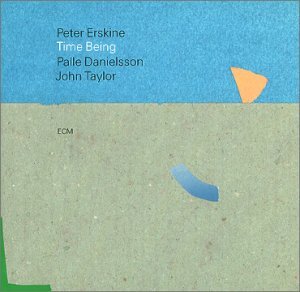 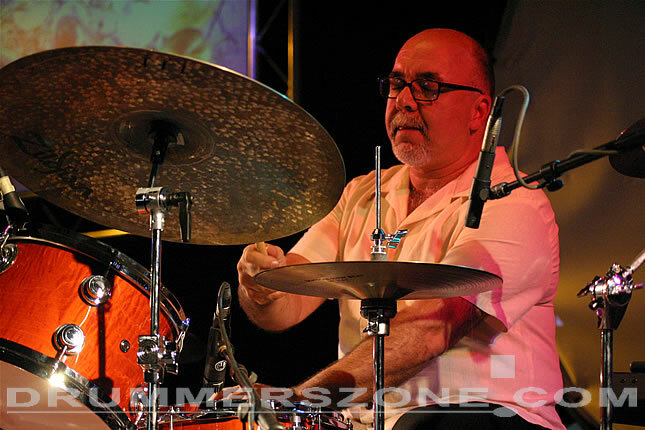 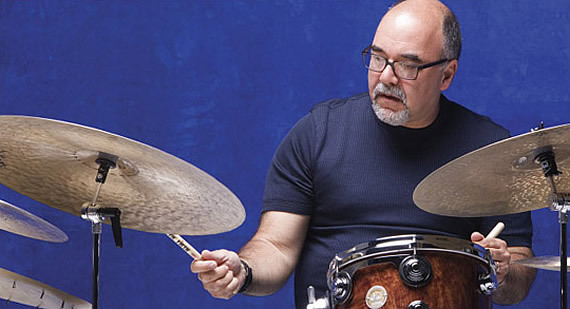 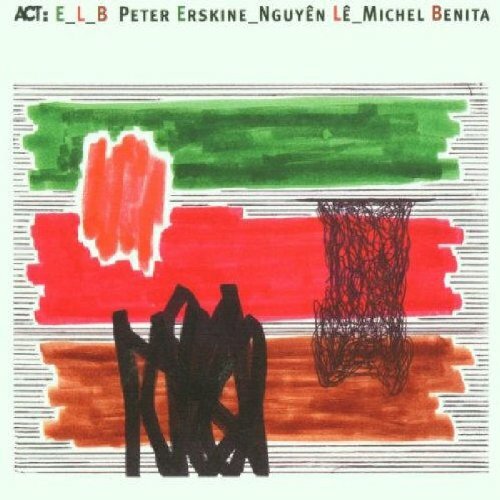 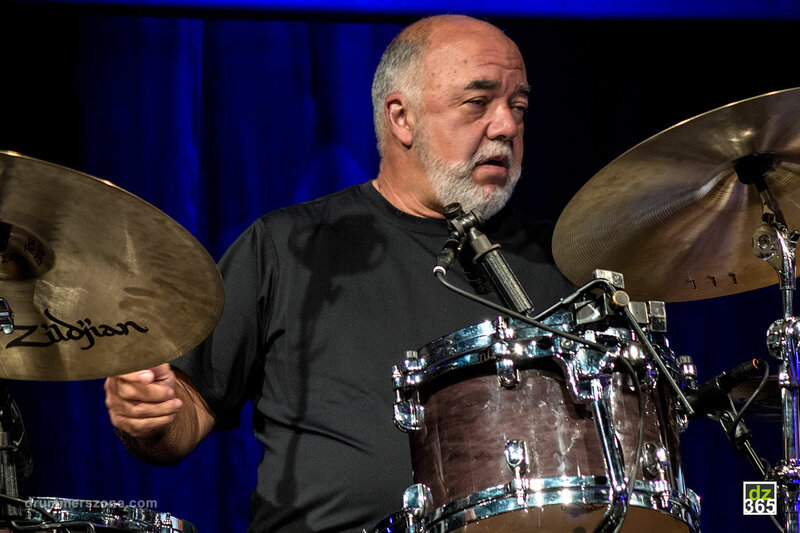 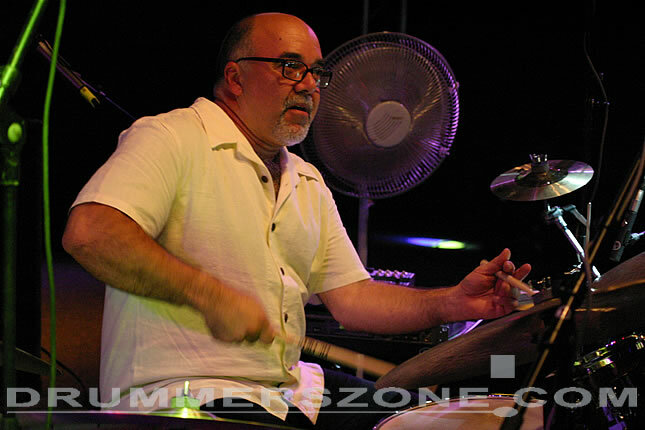 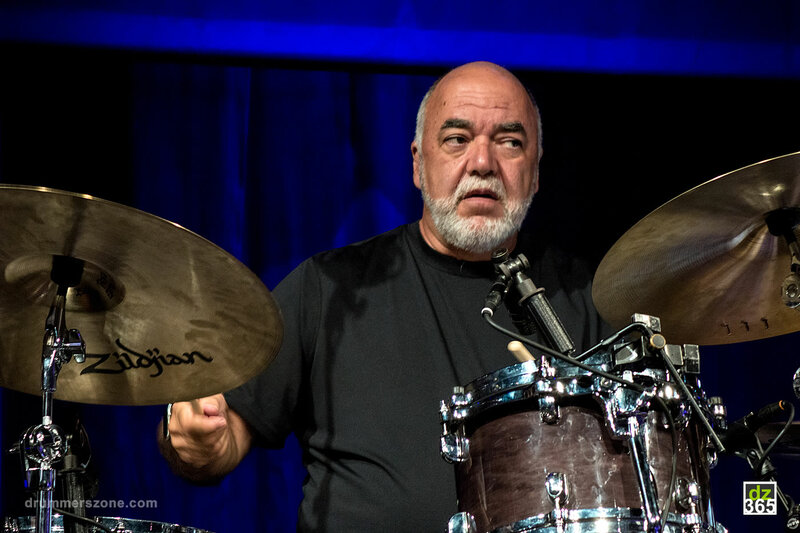 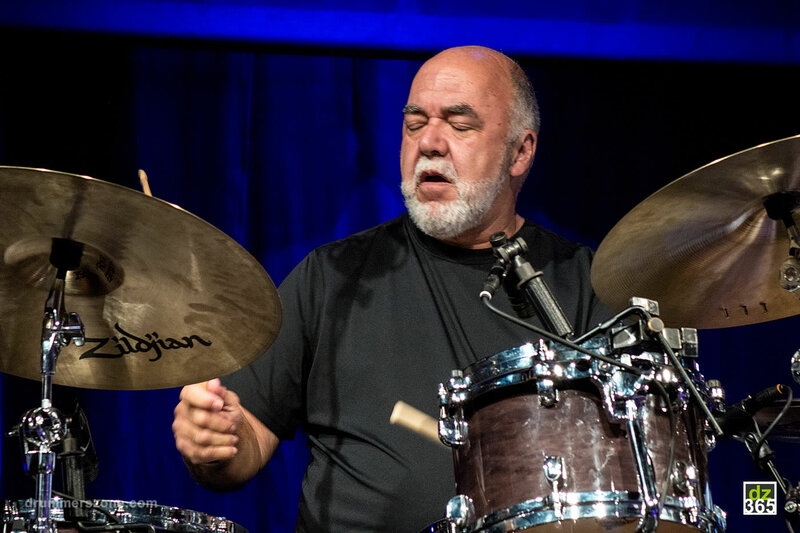 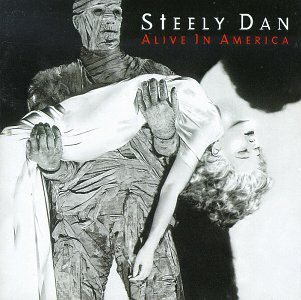 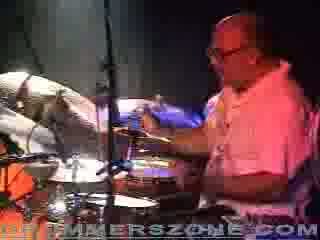 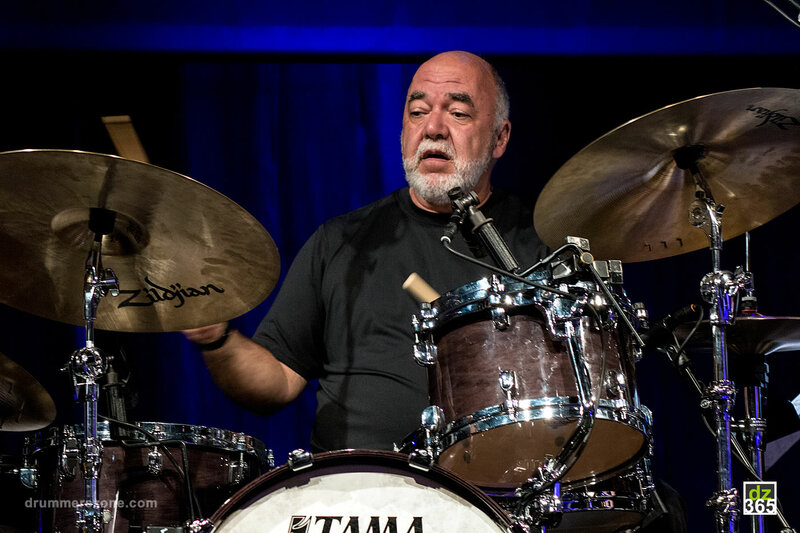 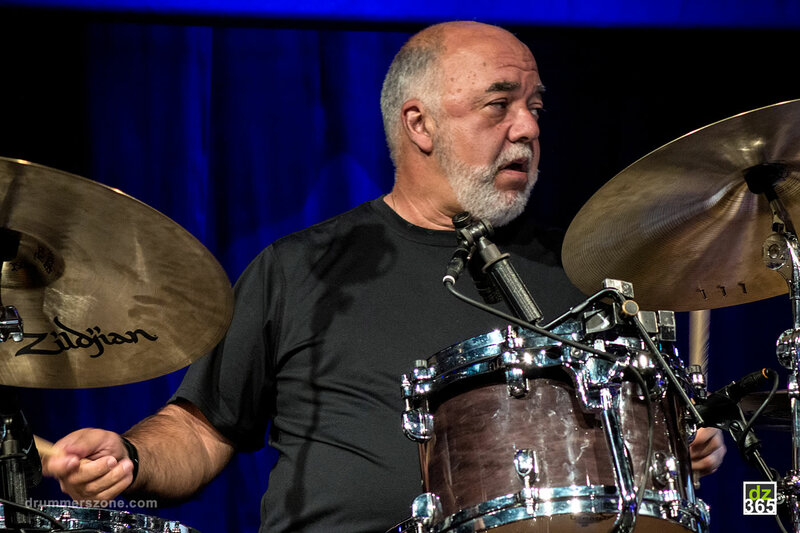 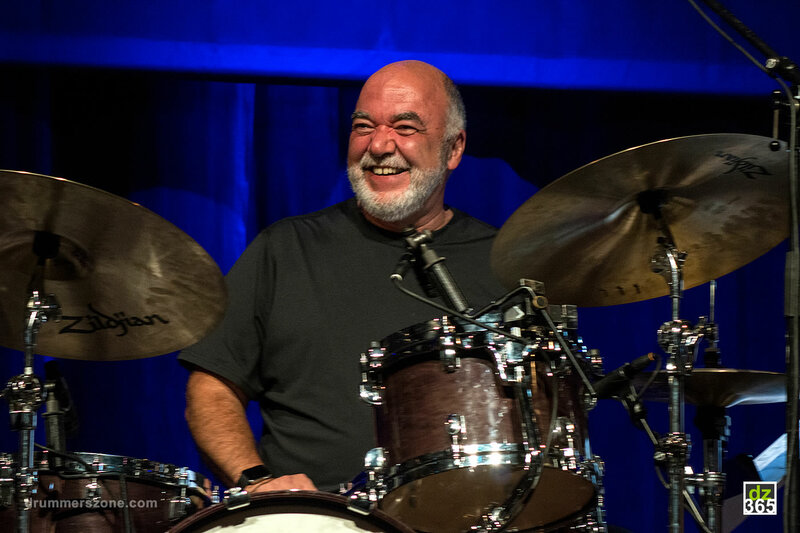 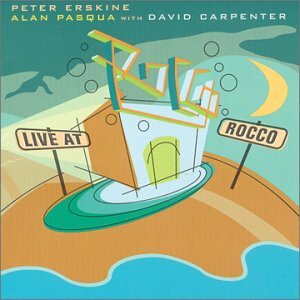 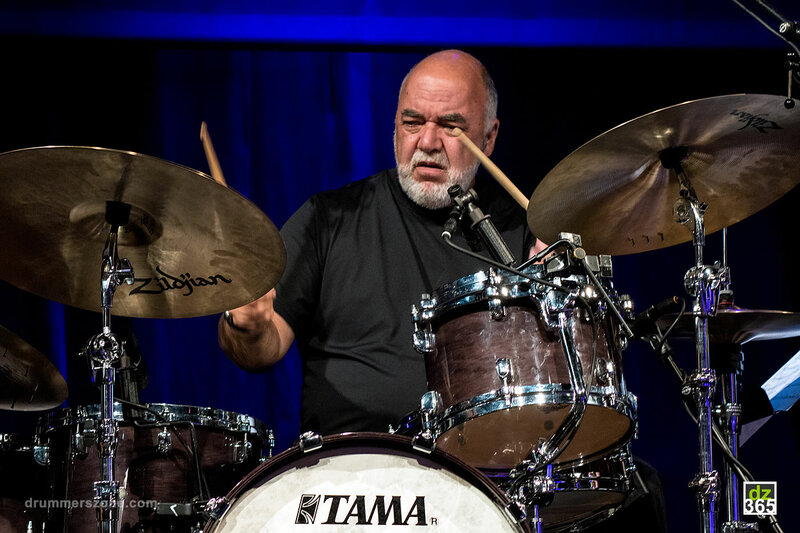 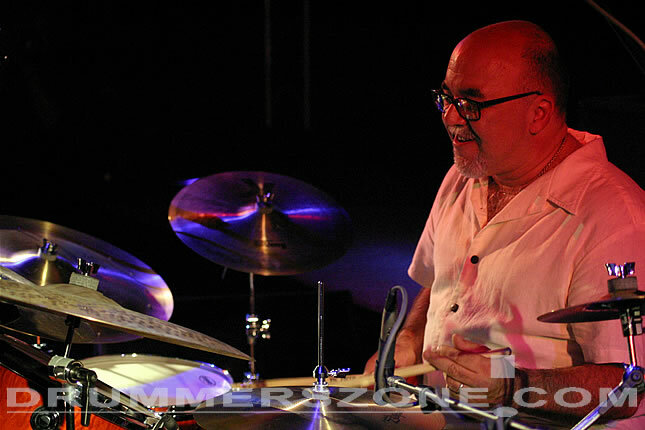 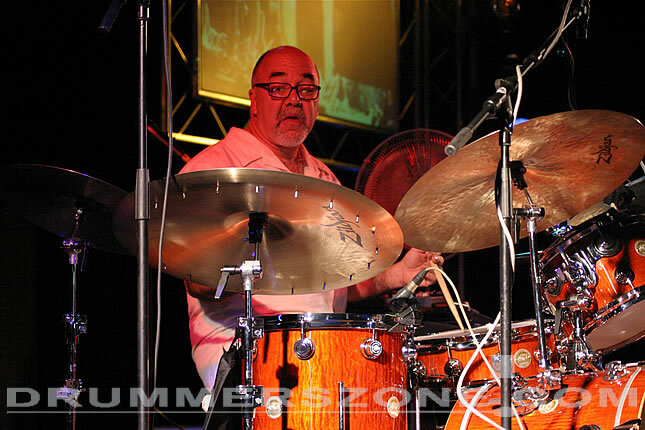 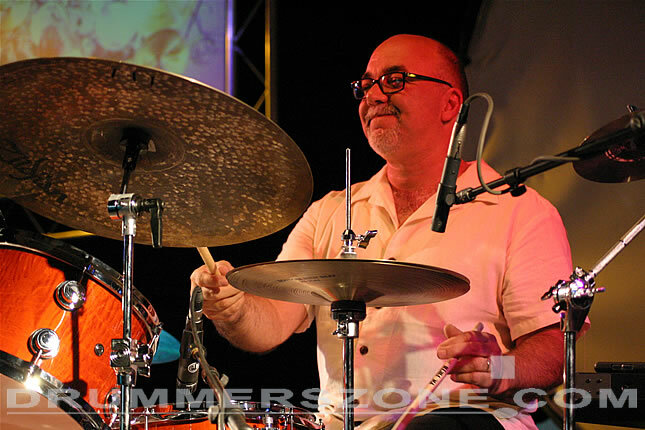 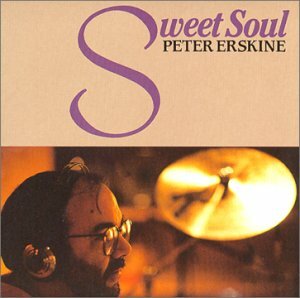 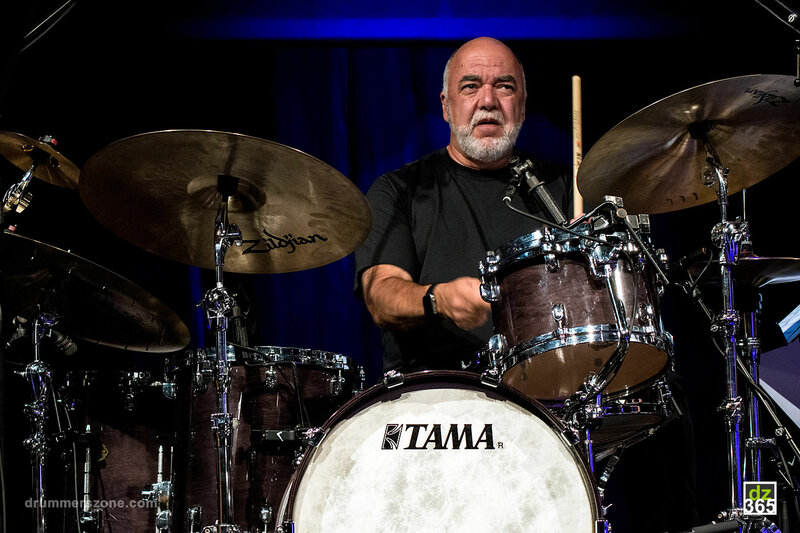 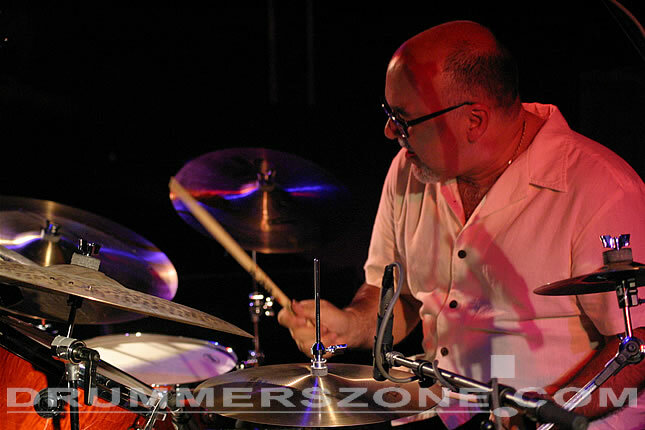 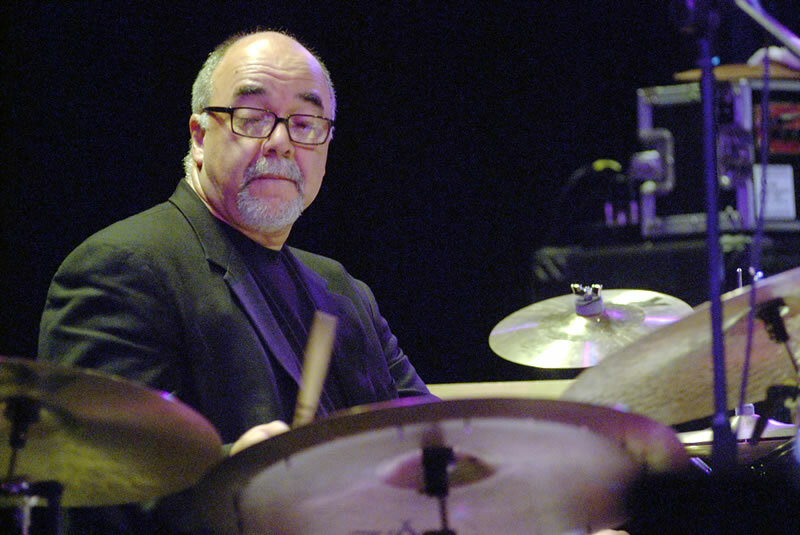 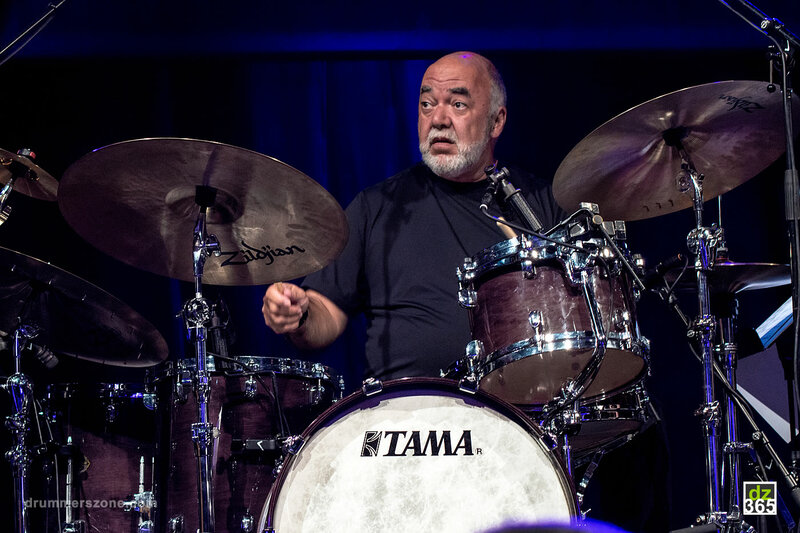 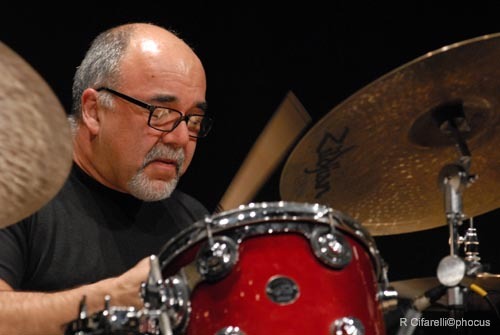 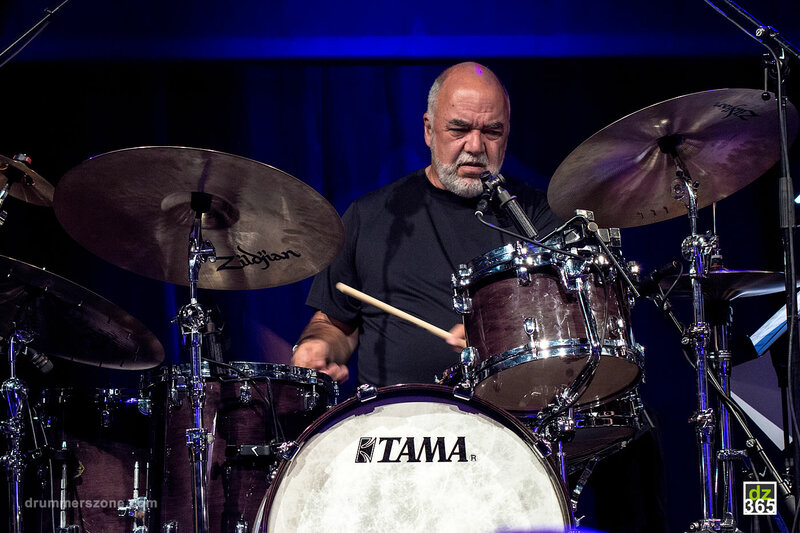 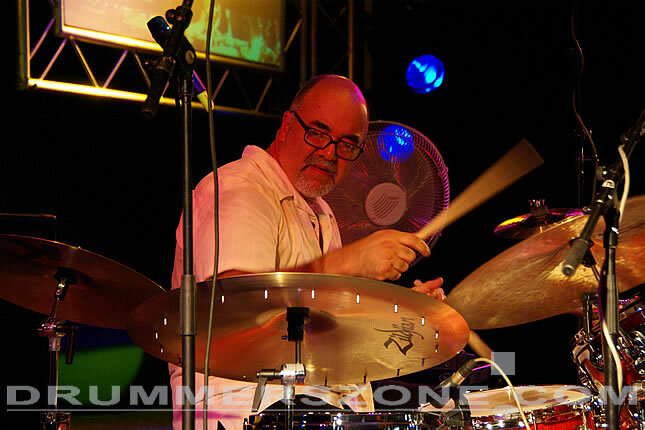 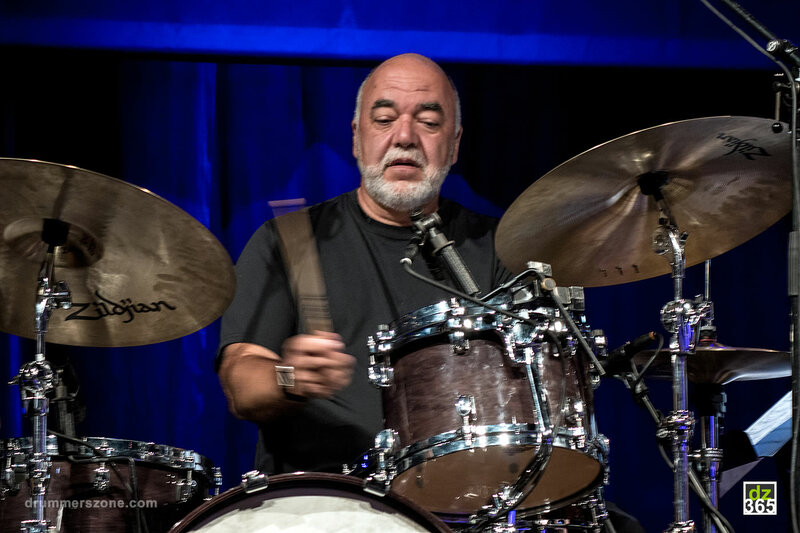 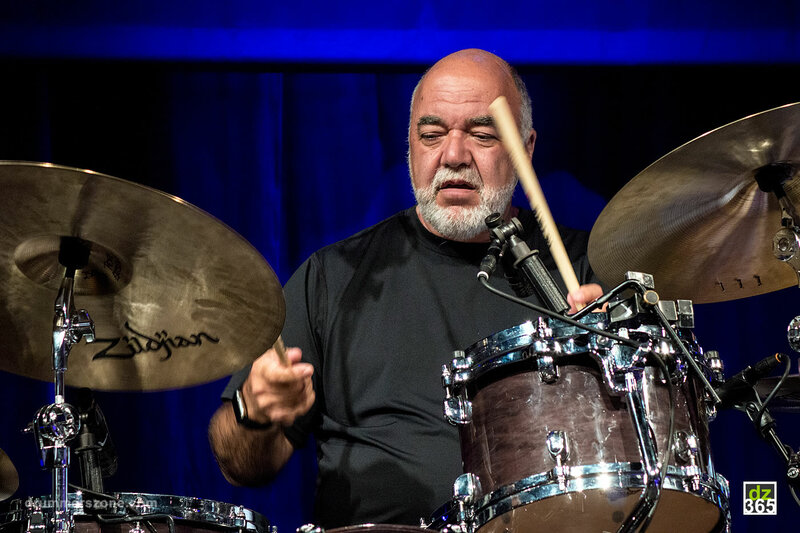 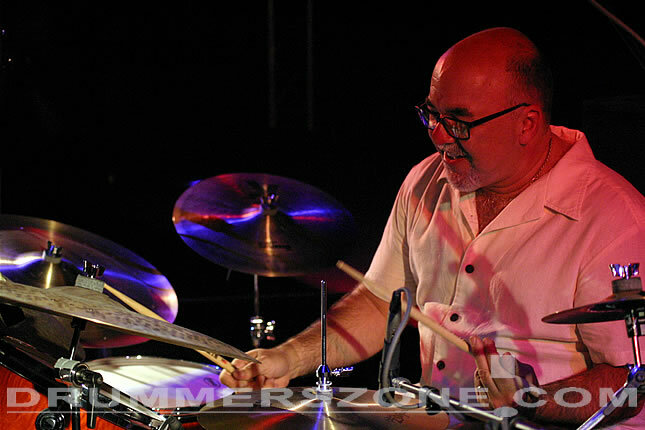 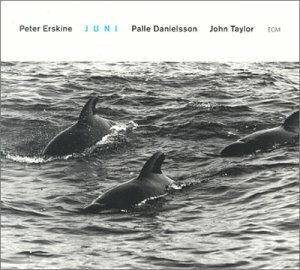 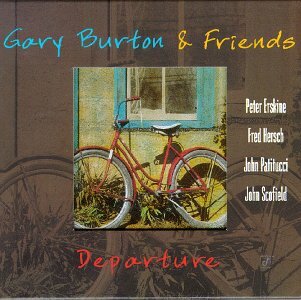 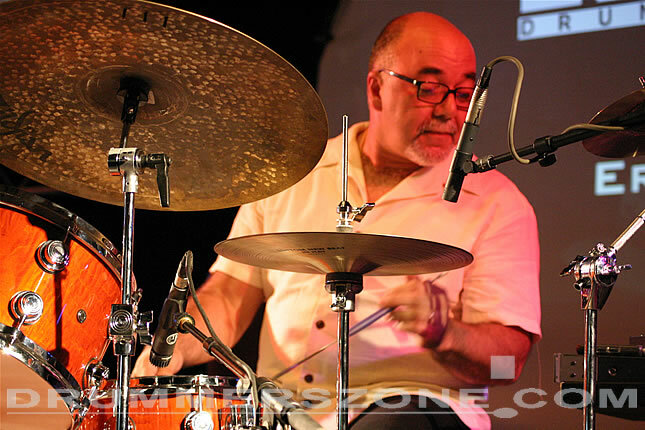 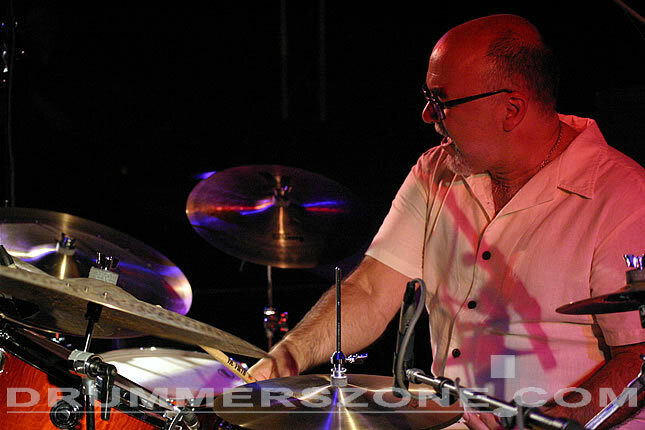 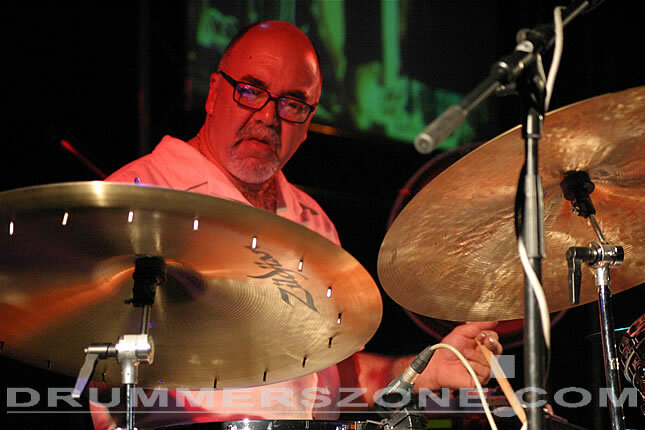 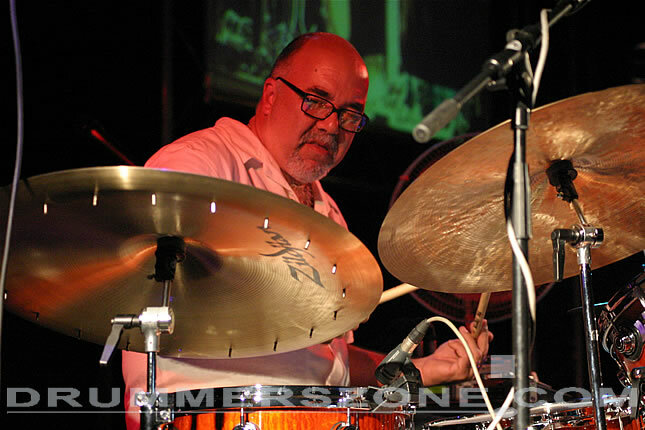 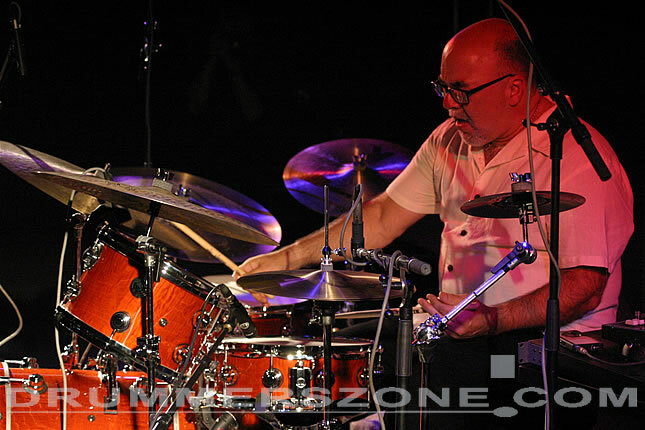 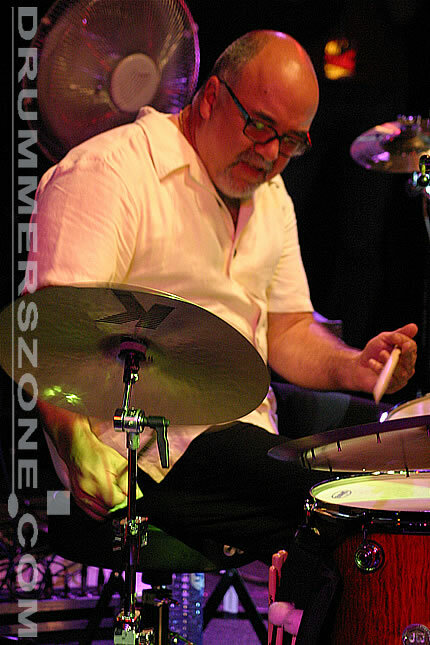 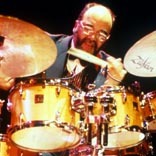 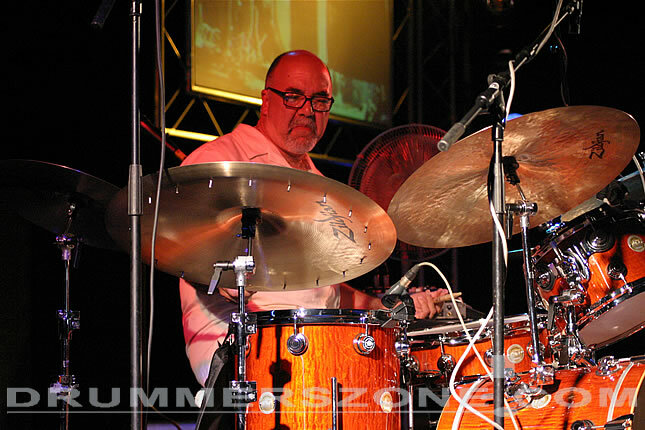 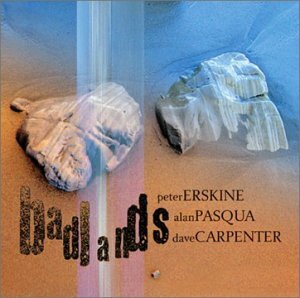 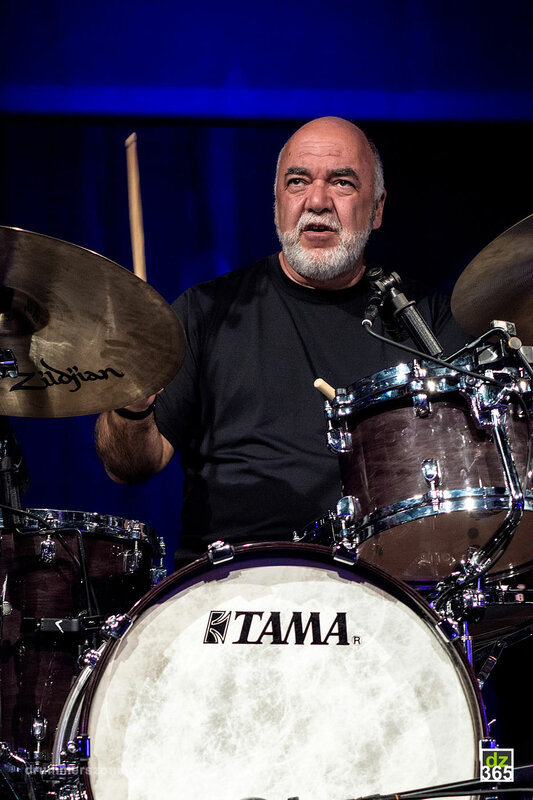 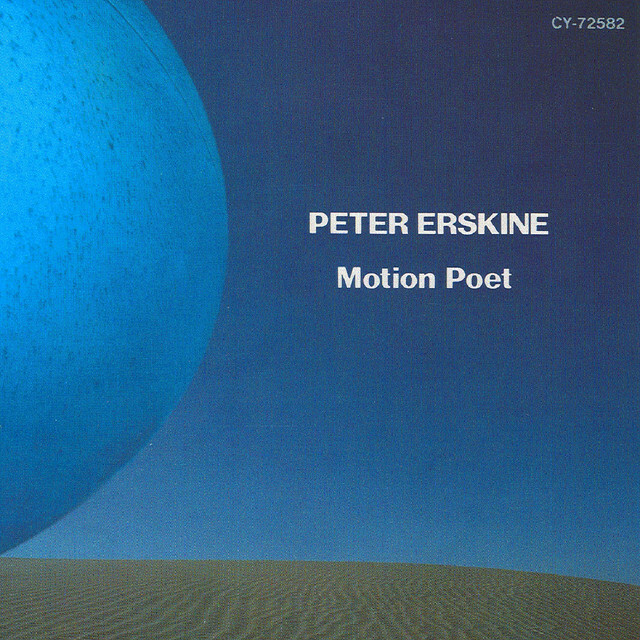 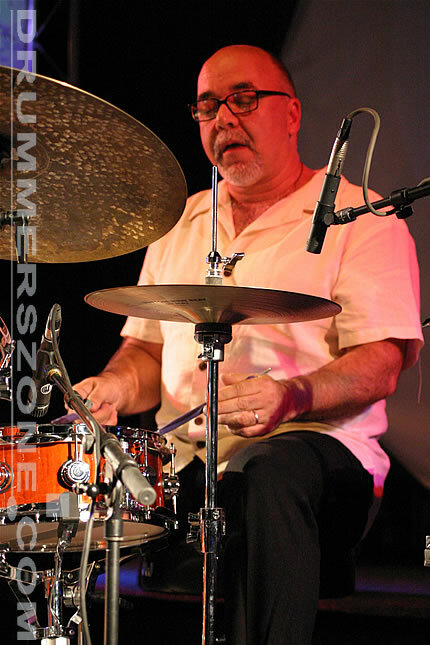 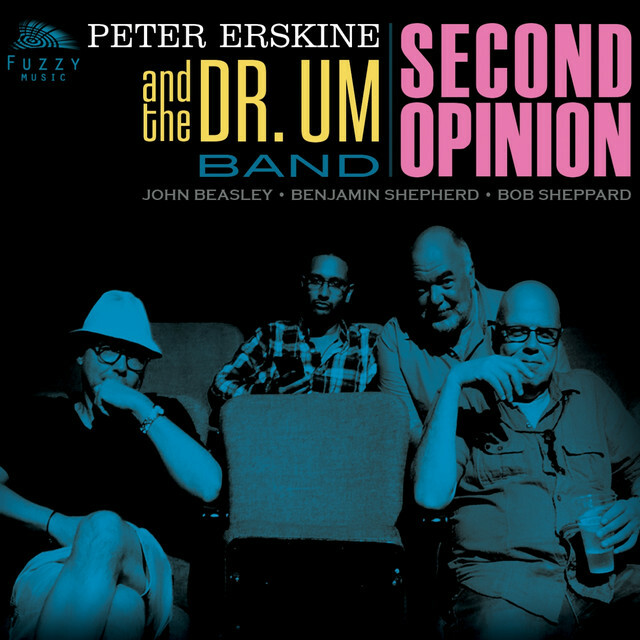 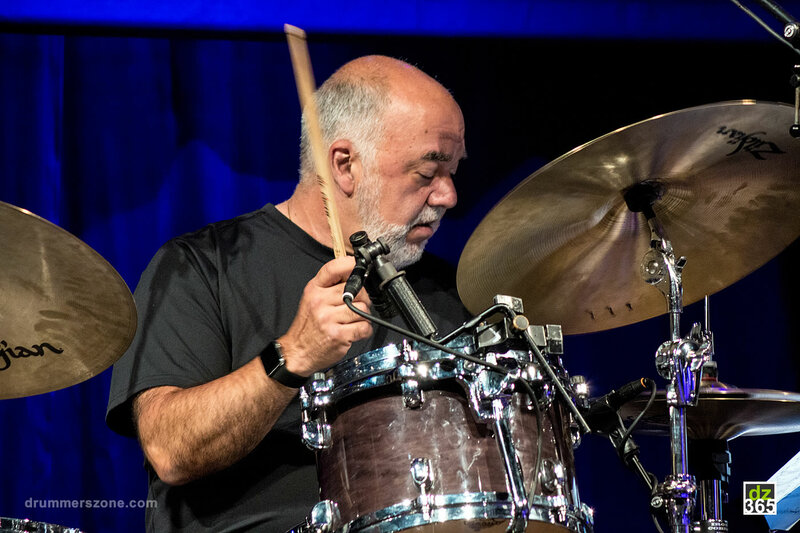 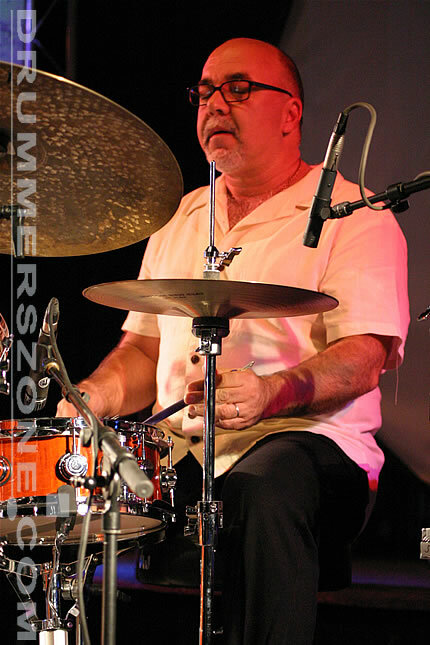 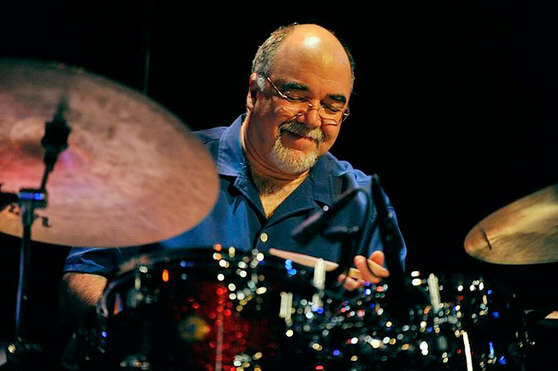 Peter Erskine's other touring and recording credits (250 albums) include Steely Dan, Chick Corea, Joe Henderson, Freddie Hubbard, Gary Burton & Pat Metheny, Joni Mitchell, Ralph Towner, Sadao Watanabe, Hubert Laws, Vanessa Williams, Al DiMeola, Eliane Elias, Miroslav Vitous and Jan Garbarek, Ensemble Modern, as well as "Bass Desires" (with John Scofield, Bill Frisell, and Marc Johnson), the John Abercrombie Trio, the Kenny Wheeler Quintet & Big Band, the Bob Mintzer Big Band, as well as his own groups. 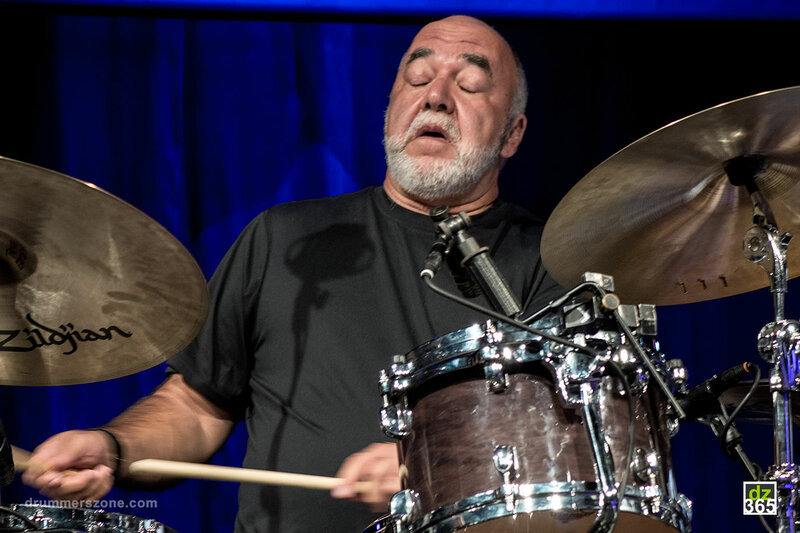 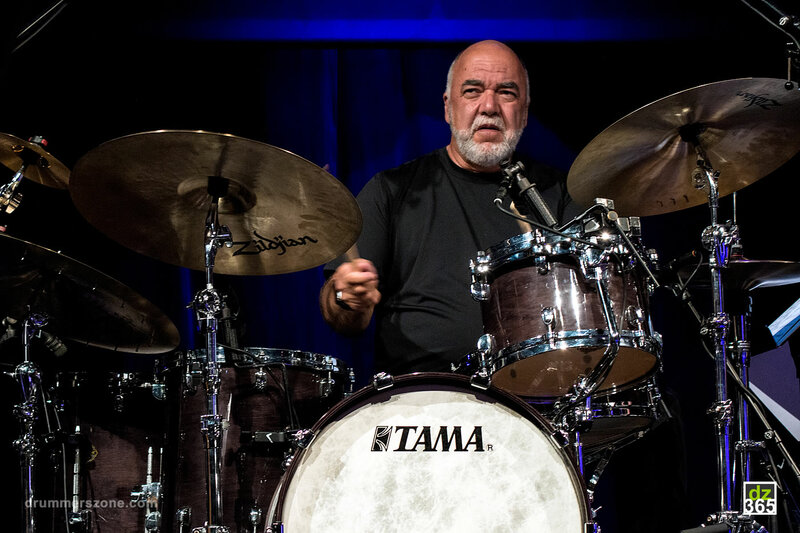 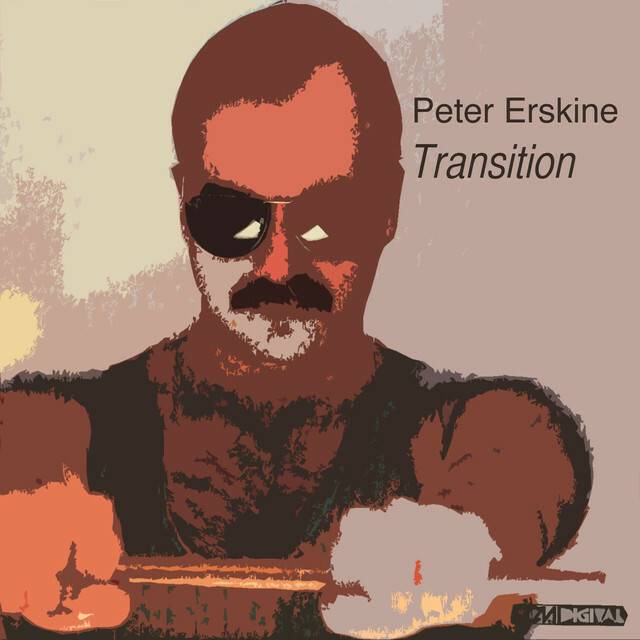 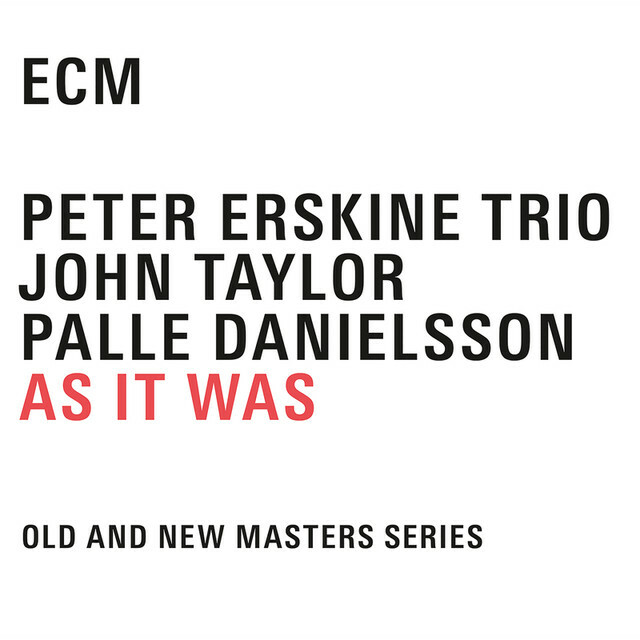 Peter has recorded ten solo albums: "Peter Erskine," "Transition," "Motion Poet," "Sweet Soul," "Big Theatre," and his ECM recordings "You Never Know," "Time Being" and "As It Is," as well as "History of the Drum" on Interworld Music, and "From Kenton To Now" on his own label Fuzzy Music. 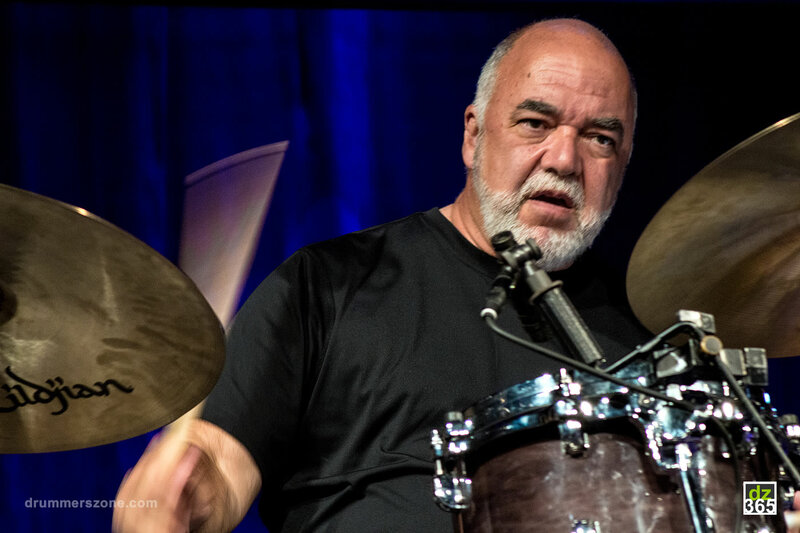 Besides touring and recording, Peter Erskine is now pursuing new avenues in his career by composing for dance, theatre and animation. 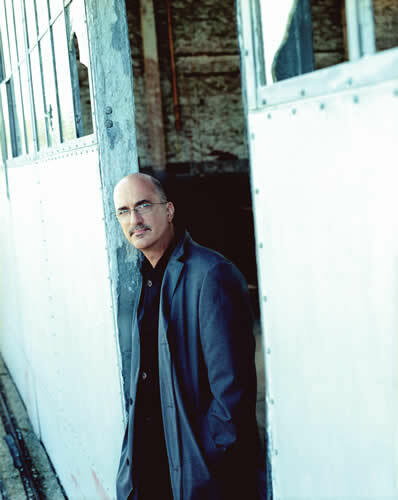 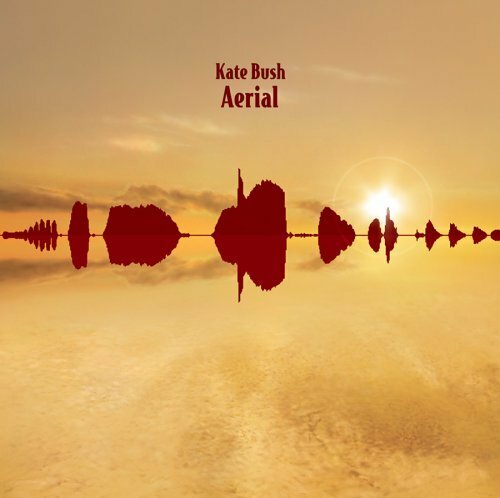 He has completed musical scores for Shakespeare's King Richard II and A Midsummer Night's Dream, the latter being honored by the Los Angeles Drama Critics Circle with the award for the "Best Original Musical Score 1987." 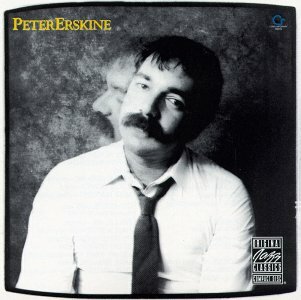 Peter Erskine's music for The American Conservatory Theatre's production of Twelfth Night was awarded by the Bay Area Drama Critics' Circle as the "Best Dramatic Score for 1989." 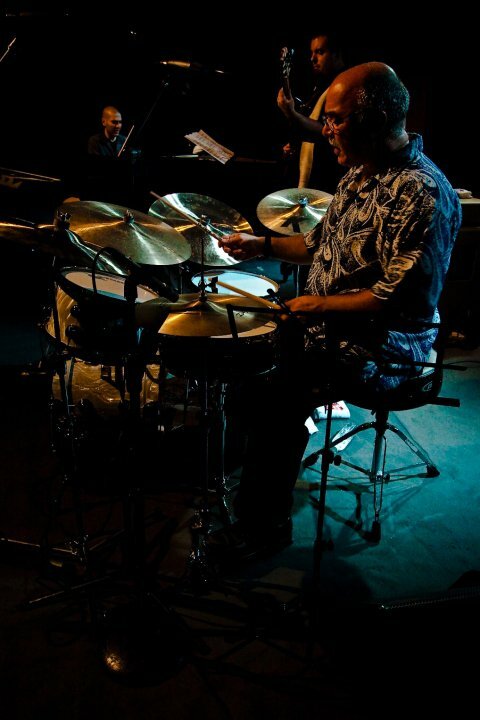 His most recent works for this medium are Hamlet, Romeo & Juliet, and the dance piece "History of the Drum - Transitions in Rhythm", written expressly for the Kokuma Dance Company of Birmingham, England, and has scored animation productions for HBO, Malaysia and Japan (including the hit 'anime' video series "Gun Smith Cats"). 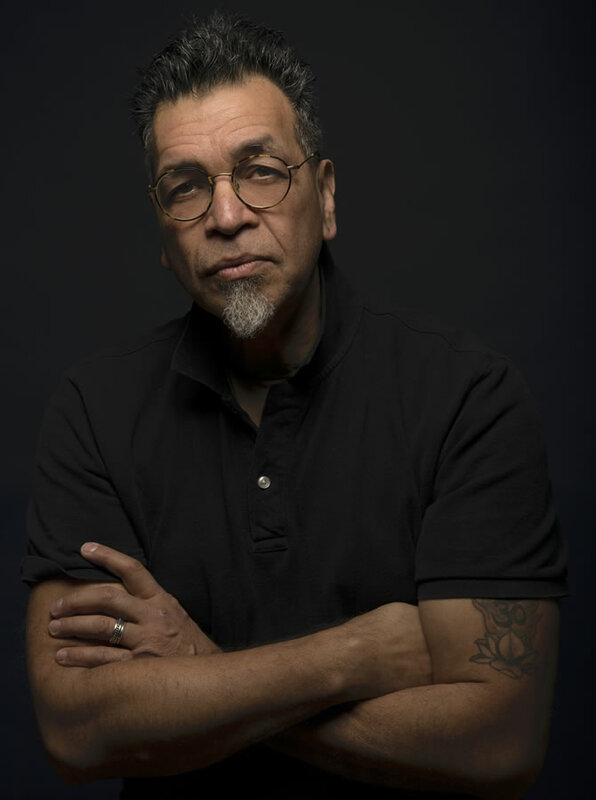 He is now the composer of music for the Simon & Schuster books?on?audio series "Alien Voices," starring Leonard Nimoy and John deLancie of Star Trek fame. 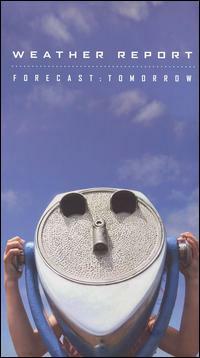 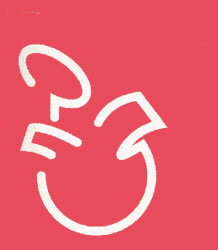 published in France for world?wide distribution, titled "My Book." 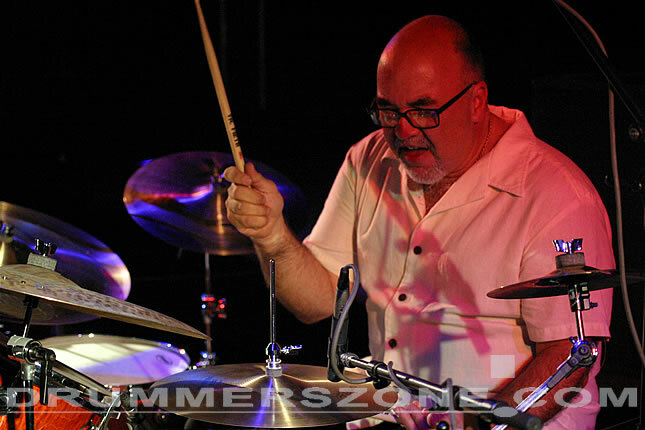 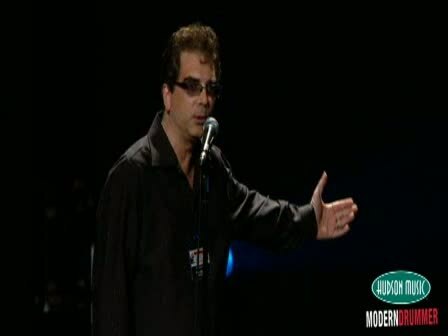 Peter conducts clinics, classes and seminars world?wide. 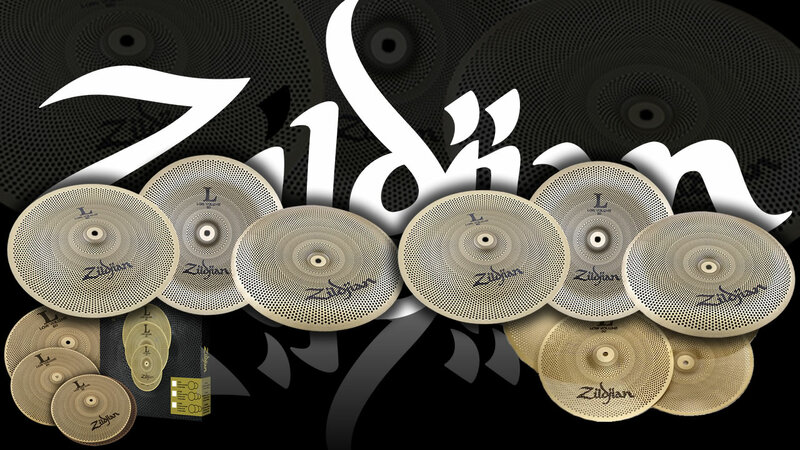 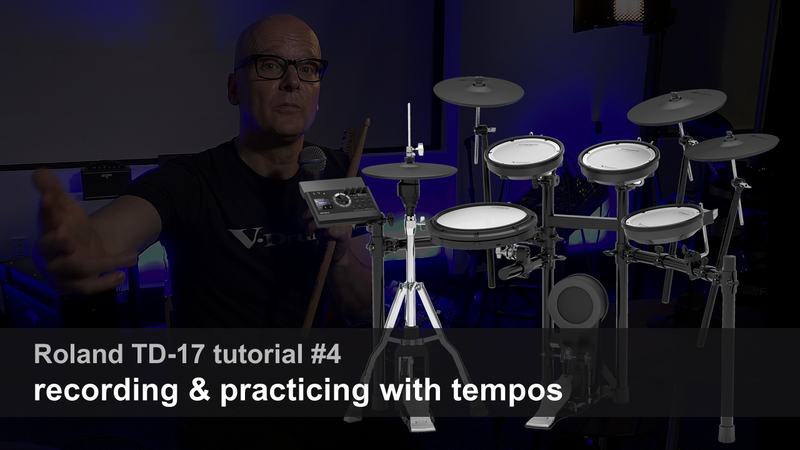 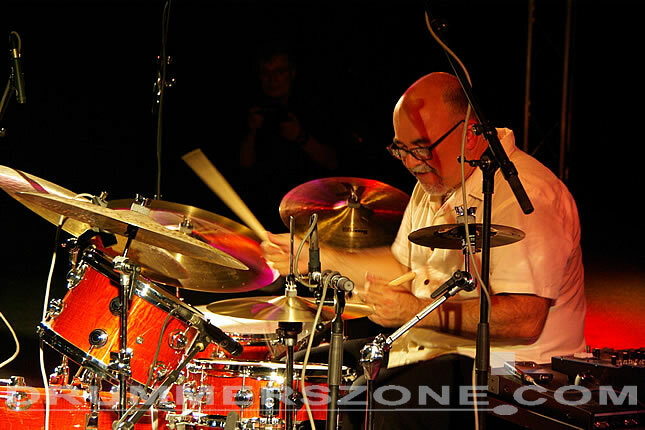 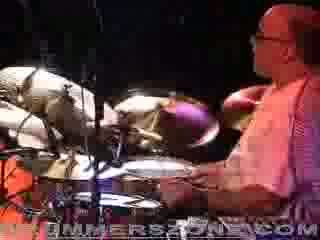 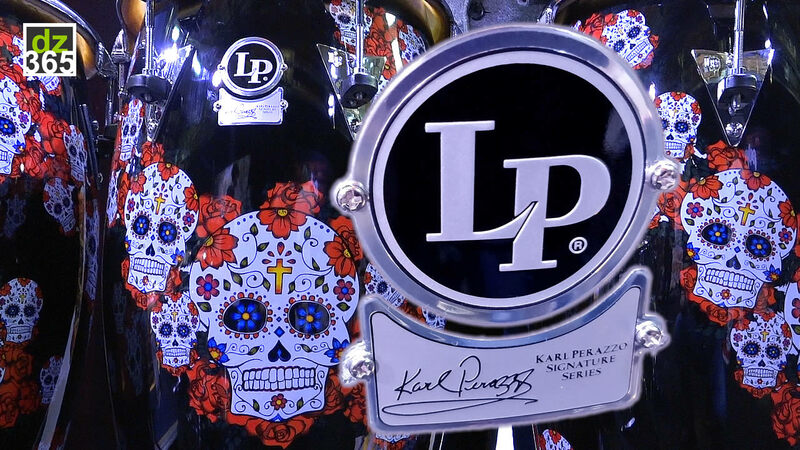 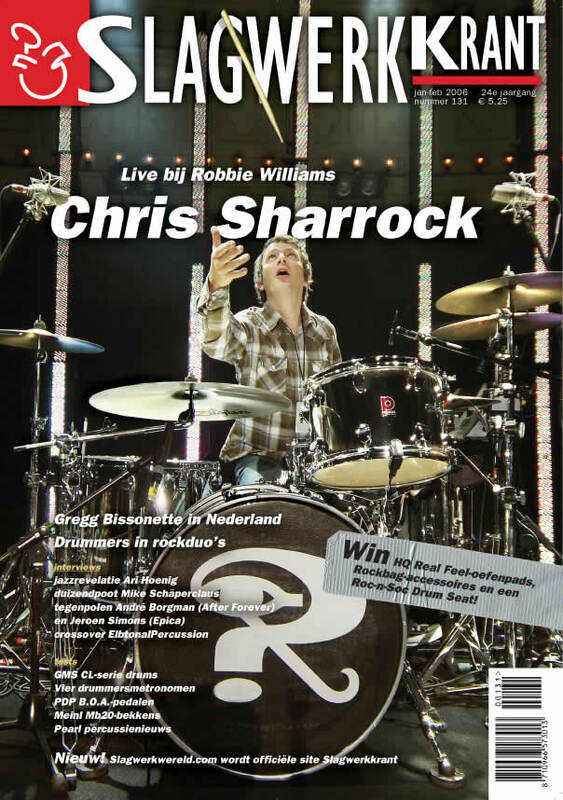 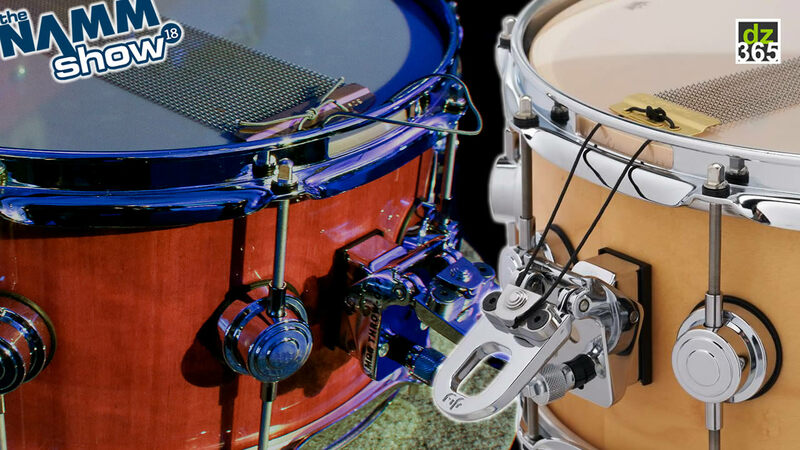 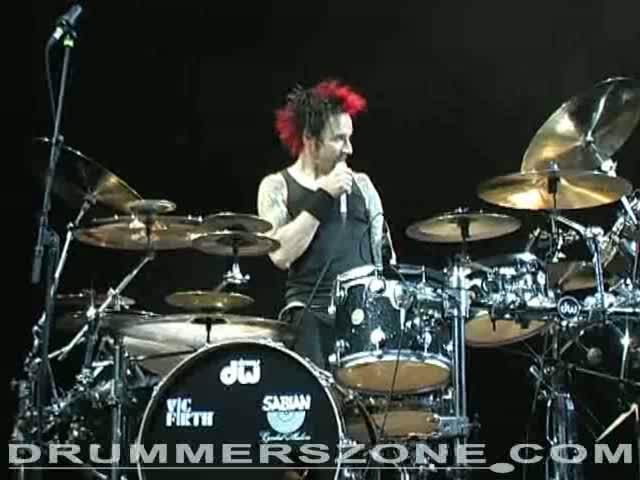 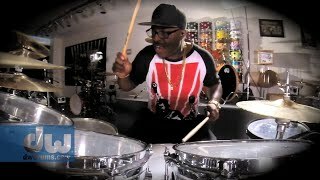 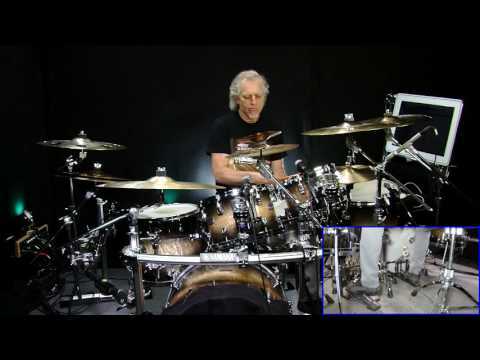 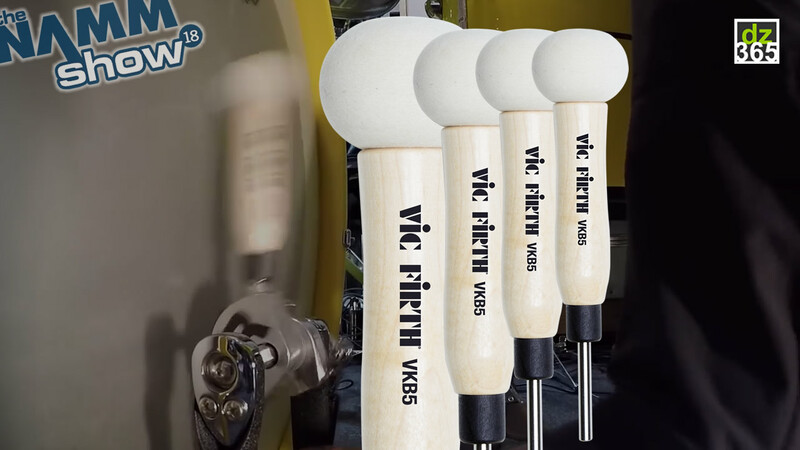 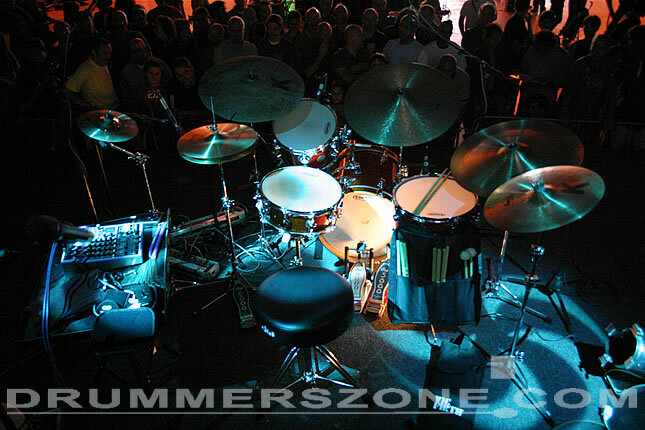 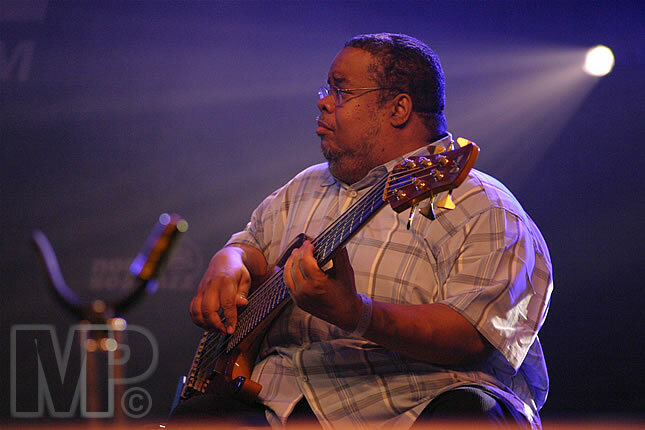 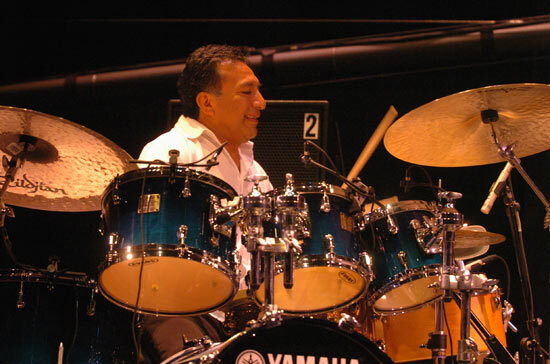 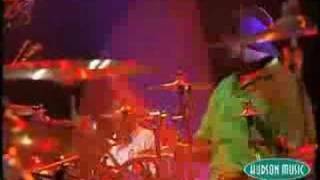 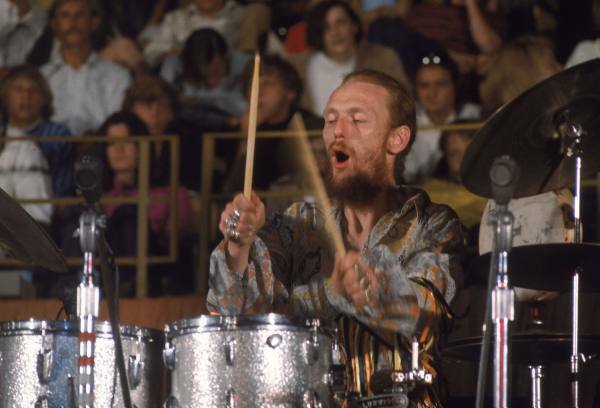 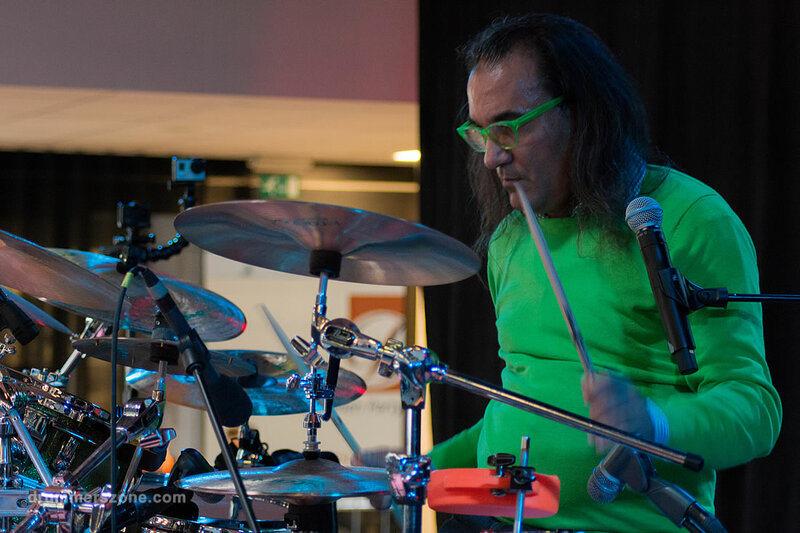 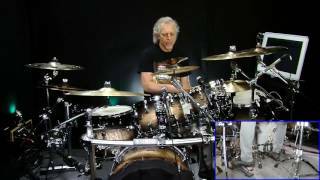 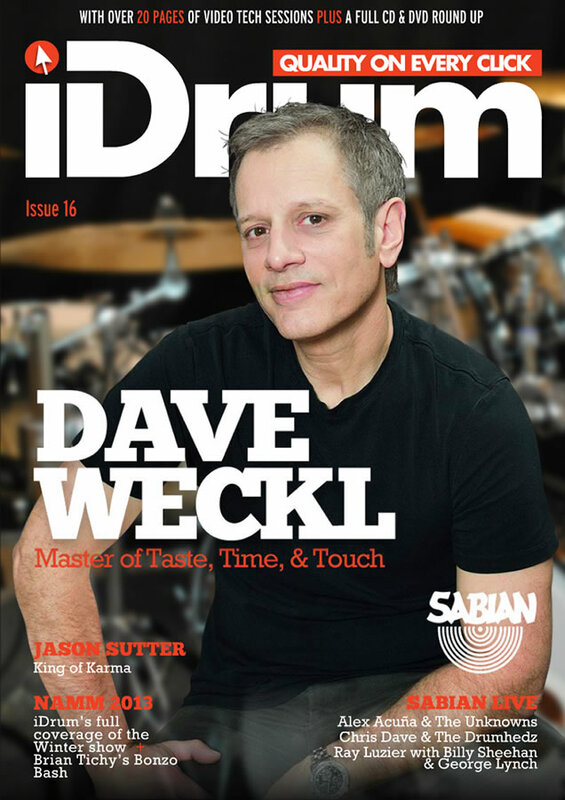 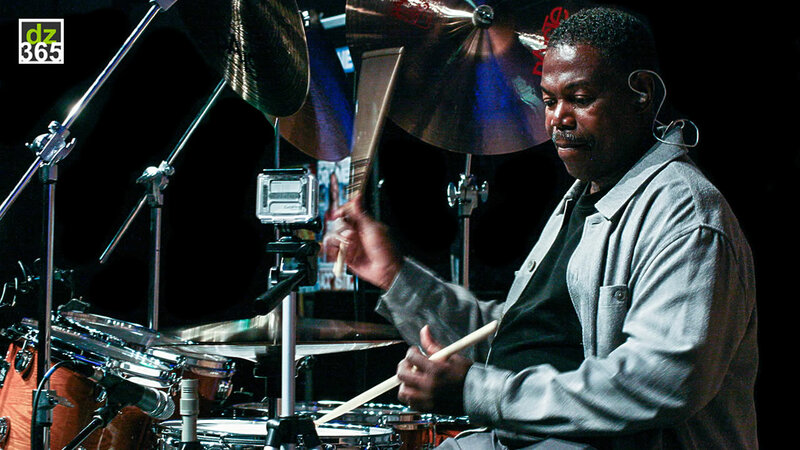 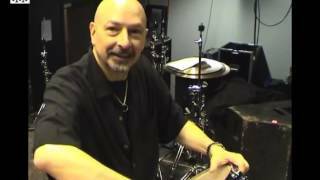 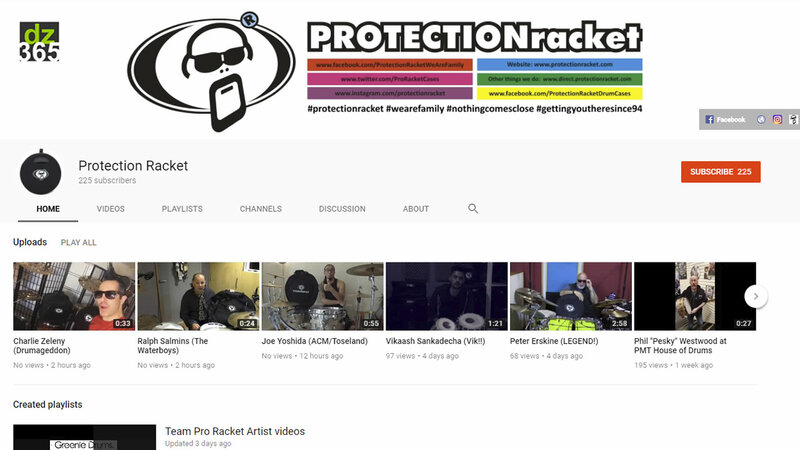 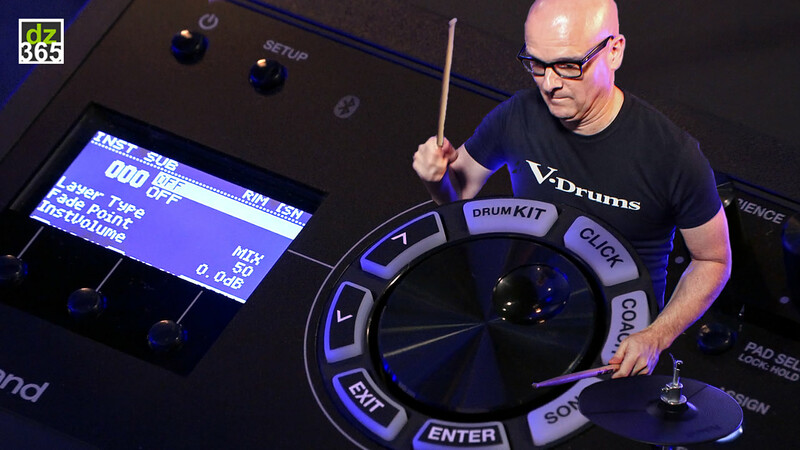 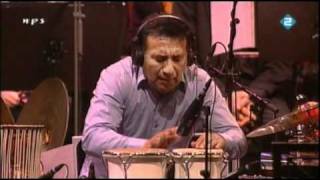 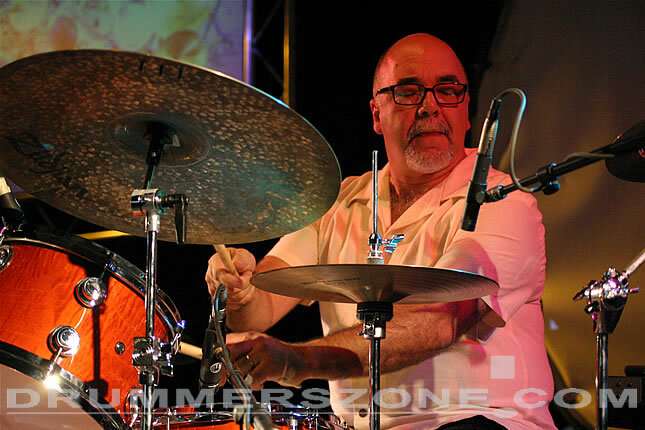 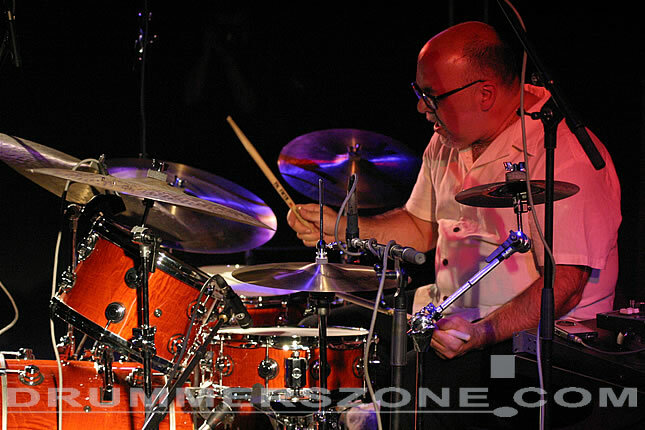 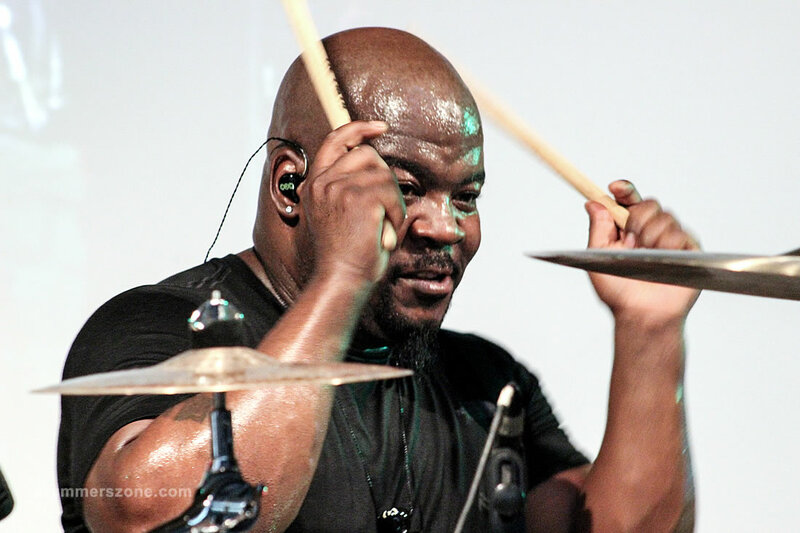 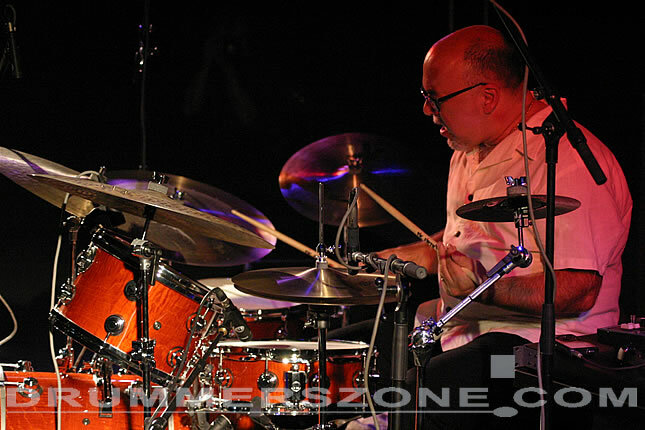 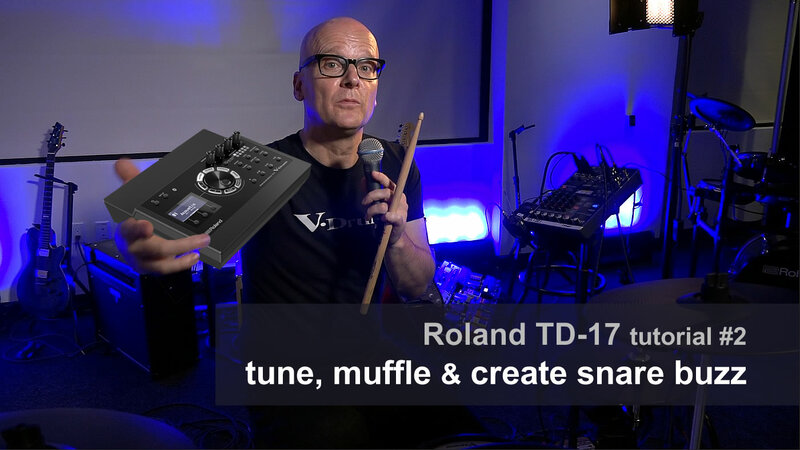 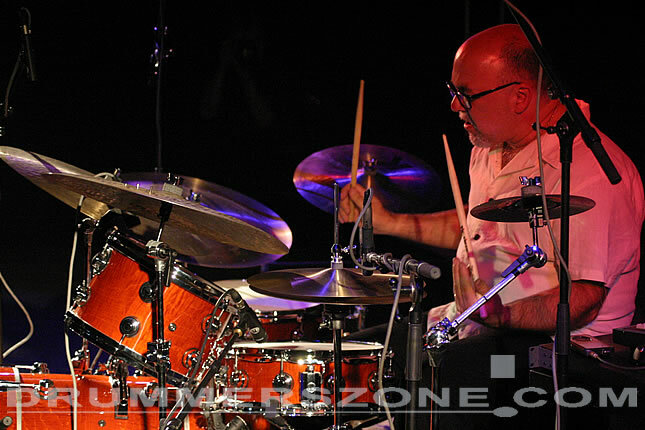 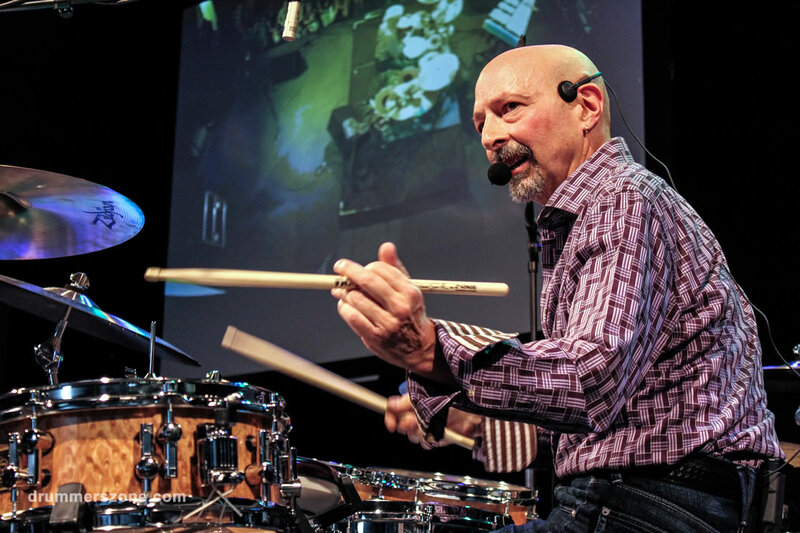 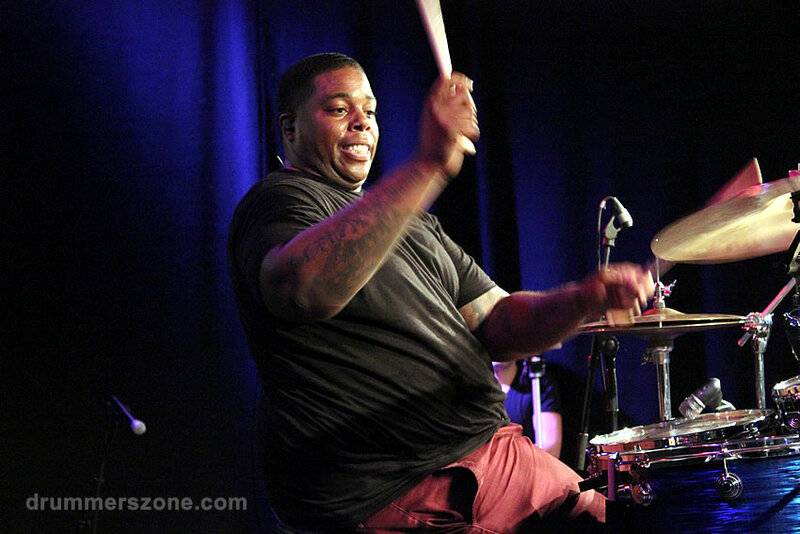 He has won the Modern Drummer Magazine Readers' Poll in the Mainstream Jazz Drummer category 4 times, and was awarded an honorary Doctorate degree from the Berklee College of Music. 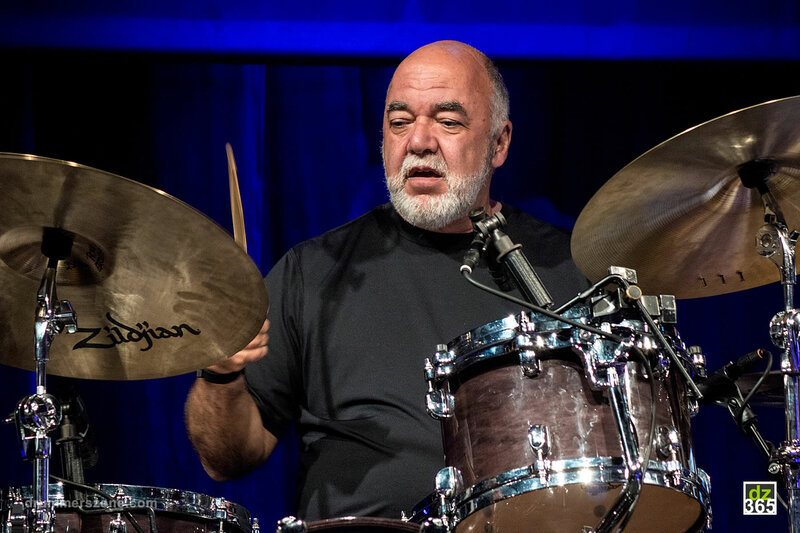 Peter Erskine makes his home in Southern California with his wife Mutsuko and their two children.